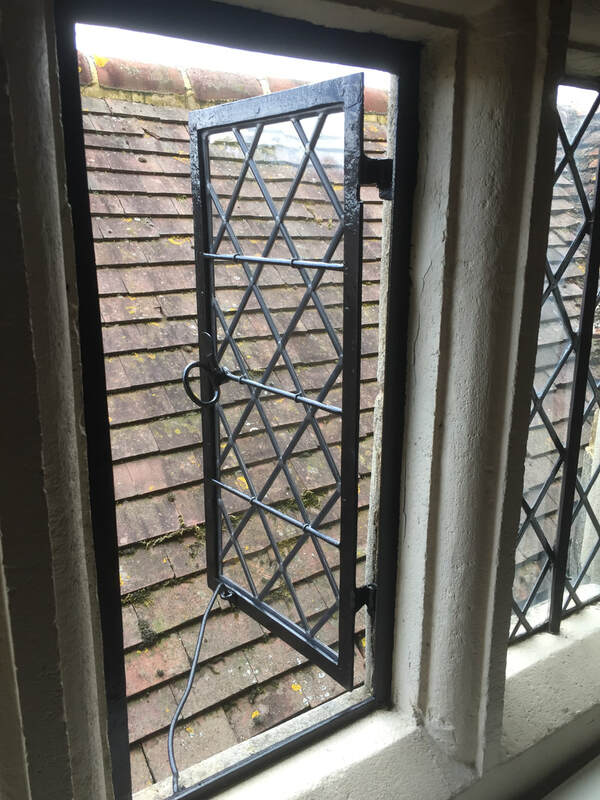 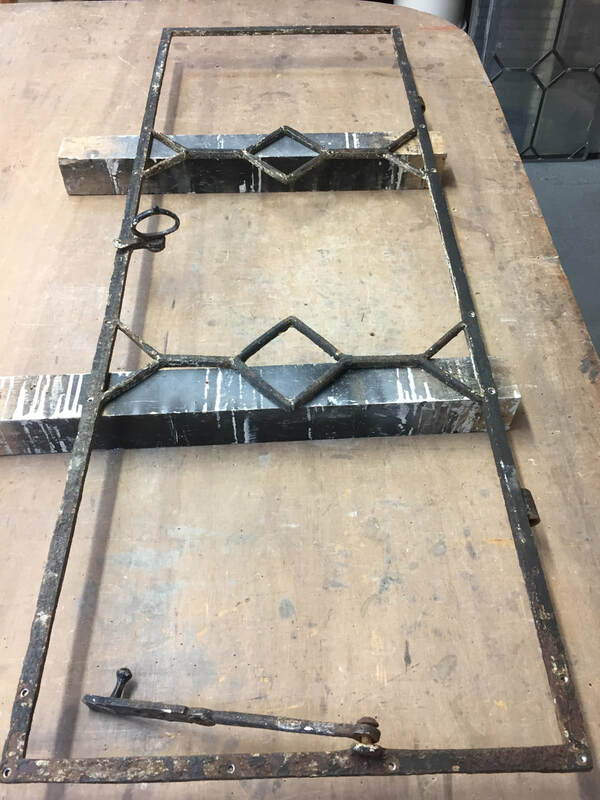 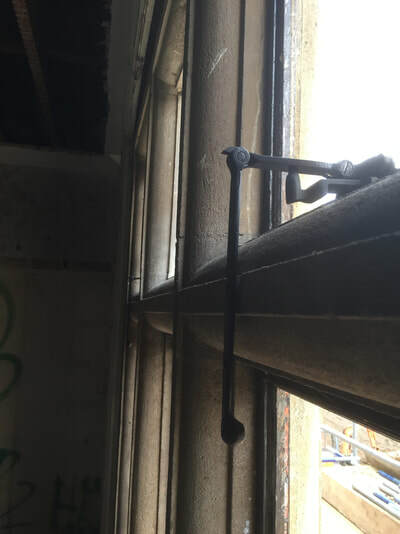 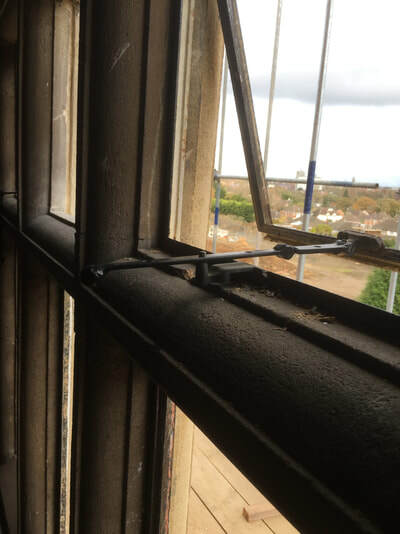 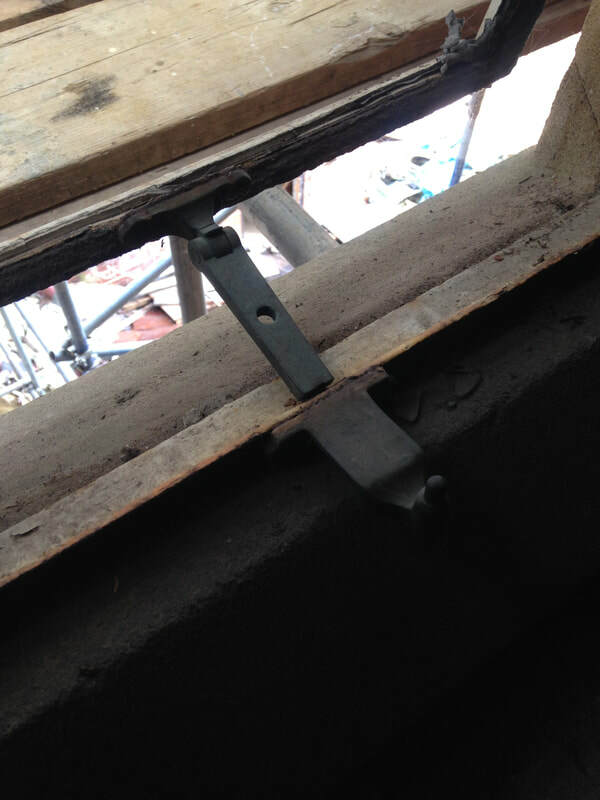 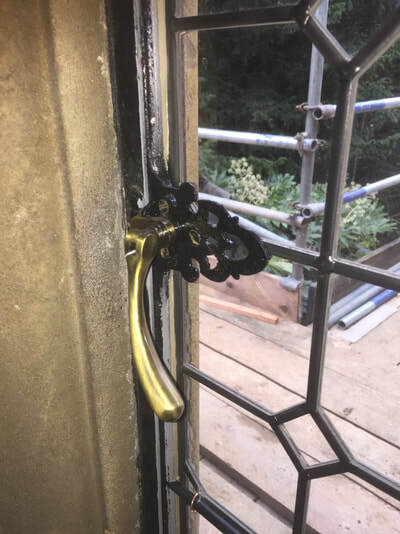 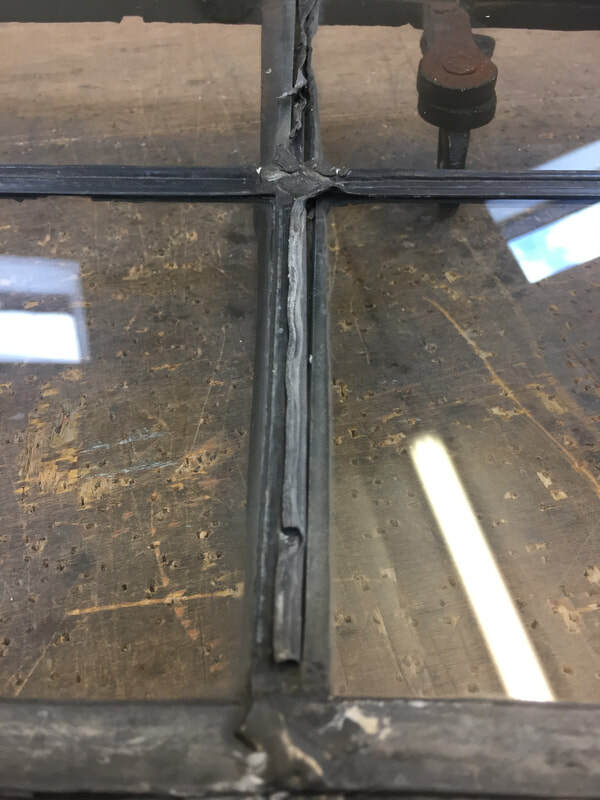 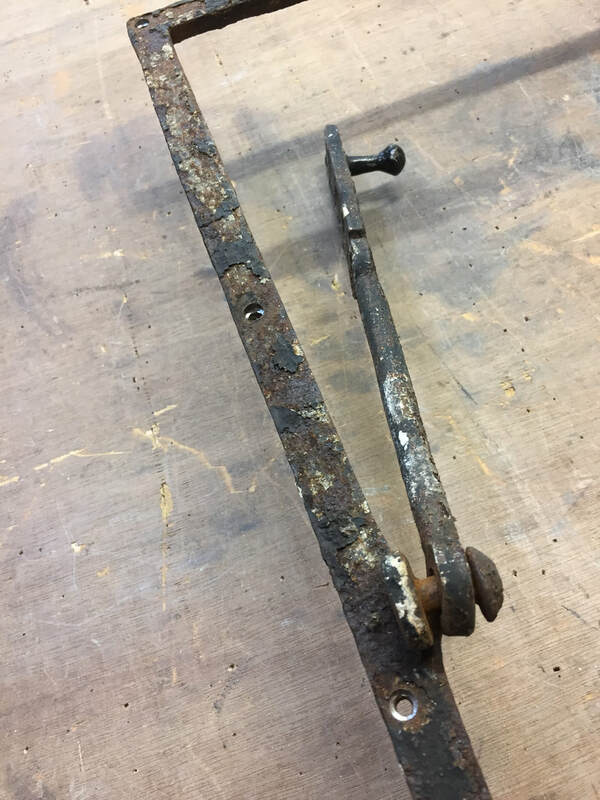 Removal, restoration and repair of glazed flat iron casements, with badly worn handles and stay bars. 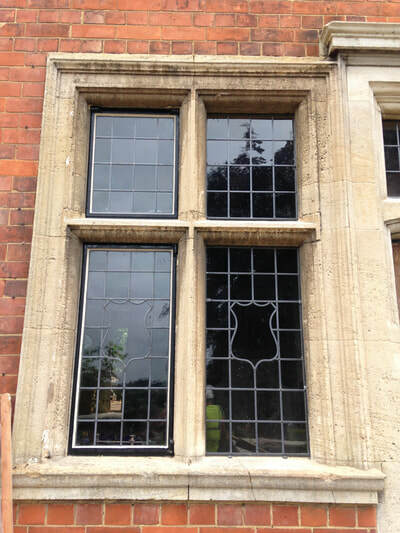 These have undergone complete restoration/refurbishment, including the glazing which was in poor condition and had to be re-leaded. 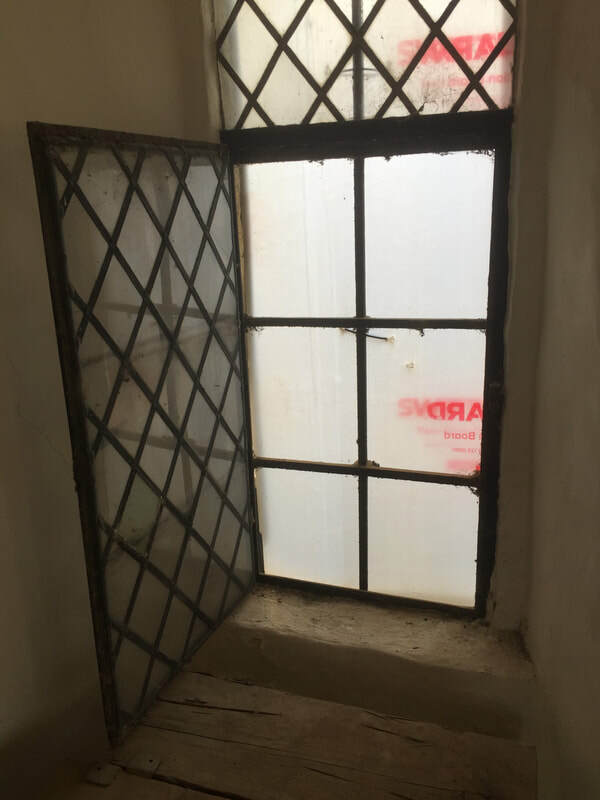 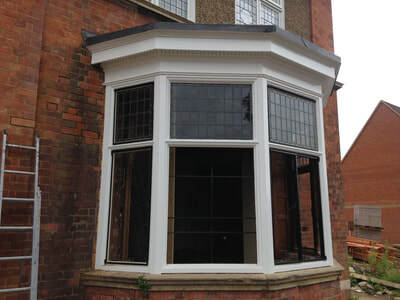 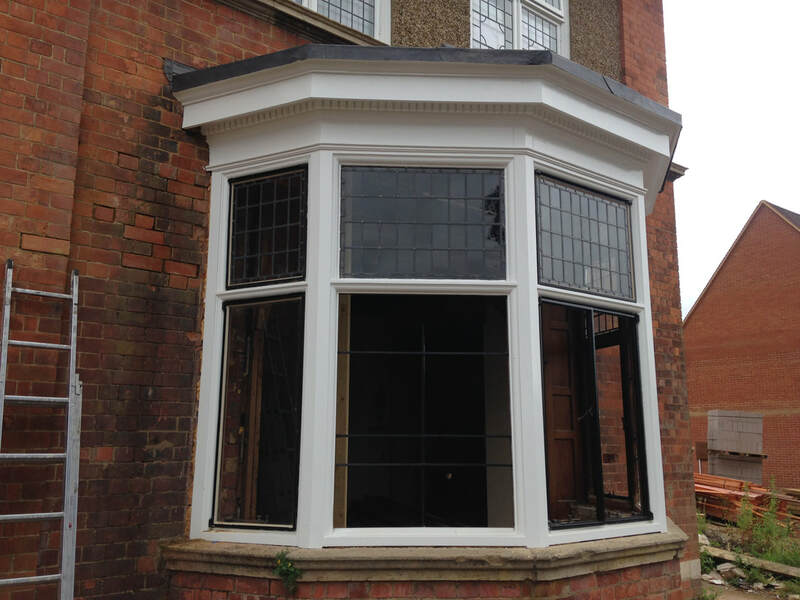 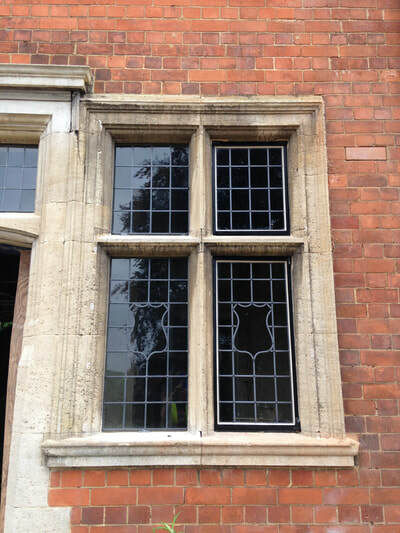 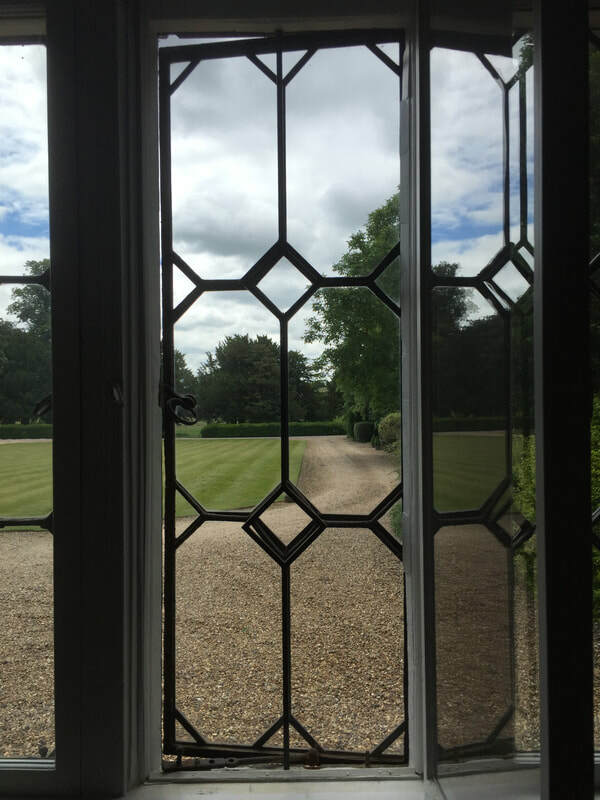 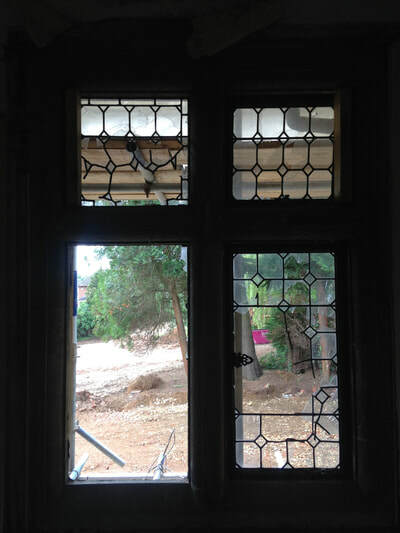 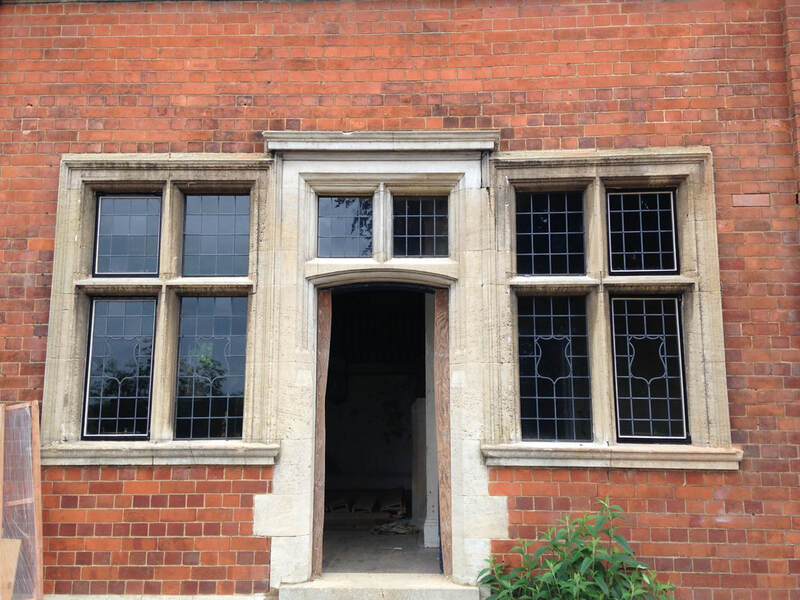 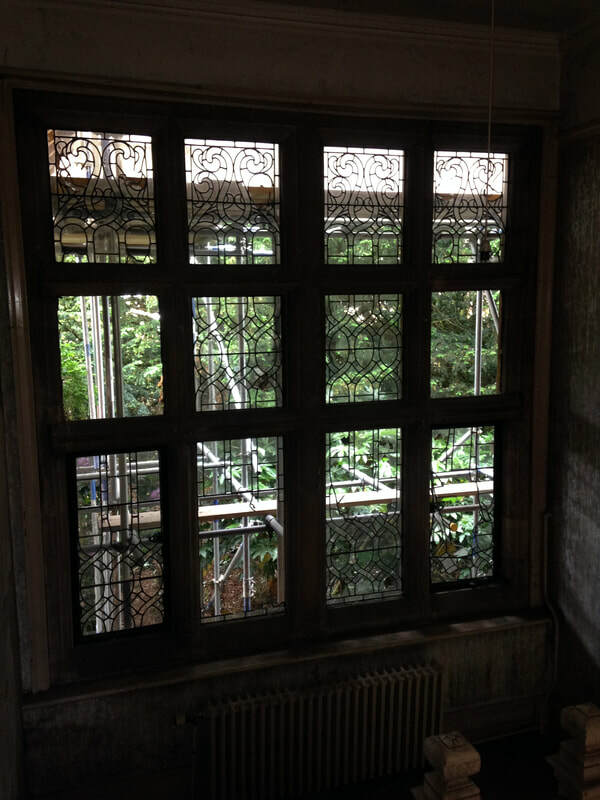 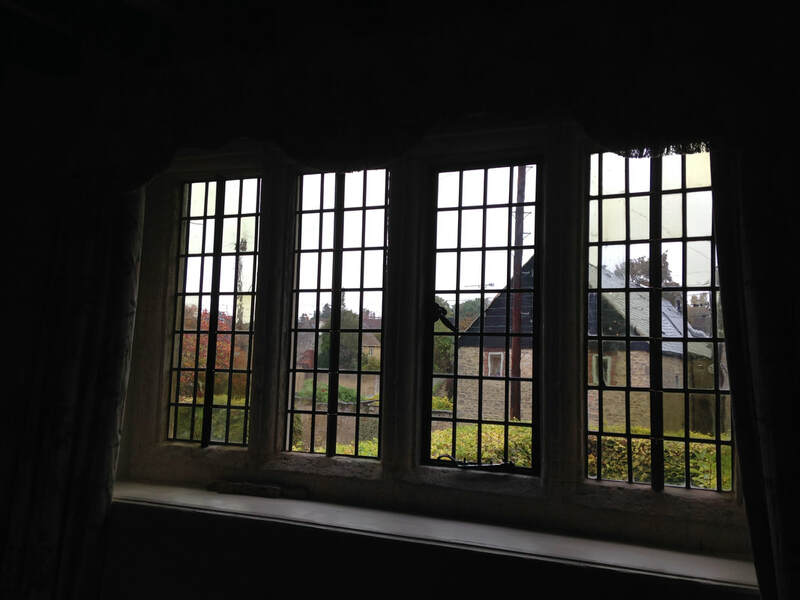 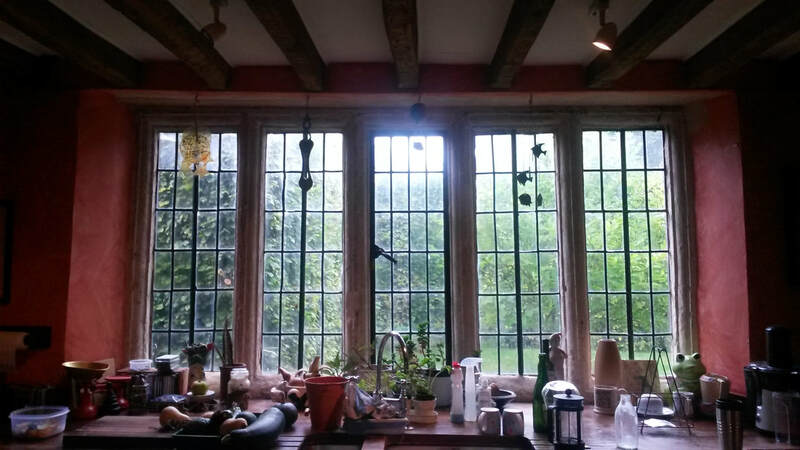 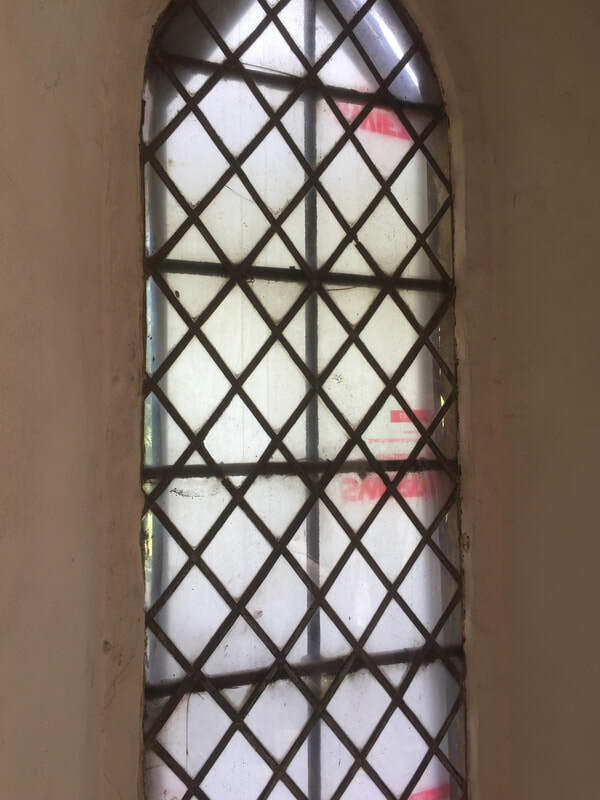 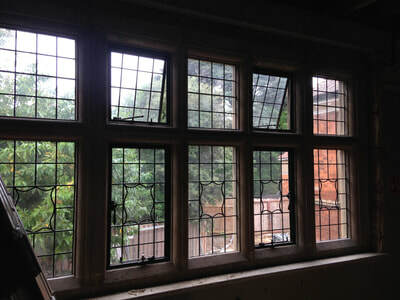 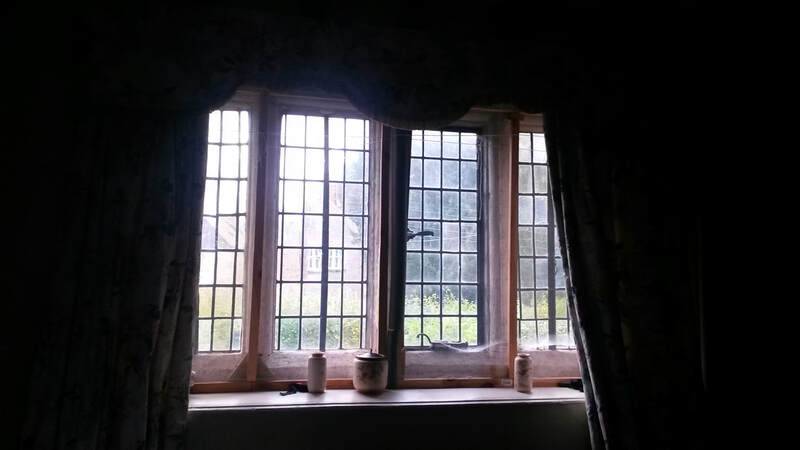 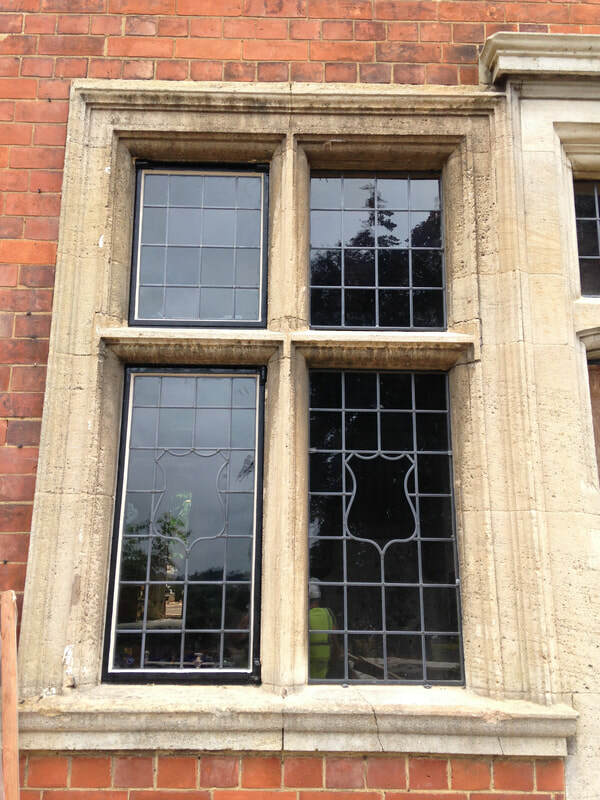 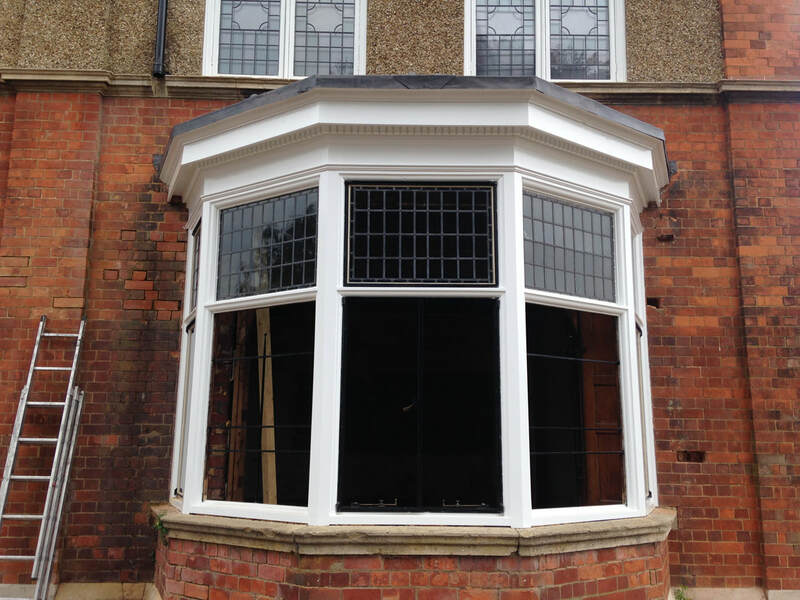 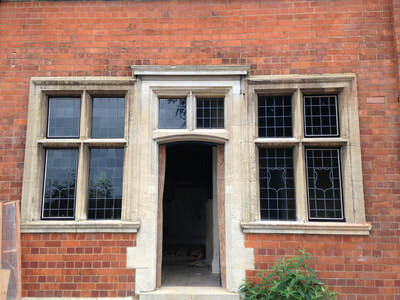 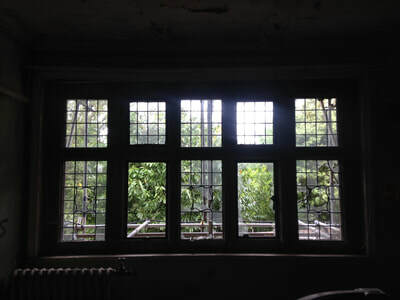 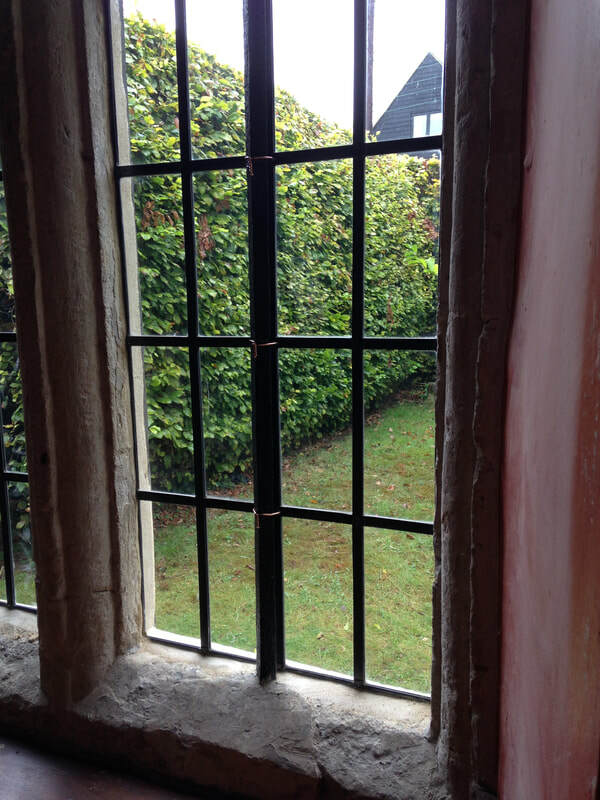 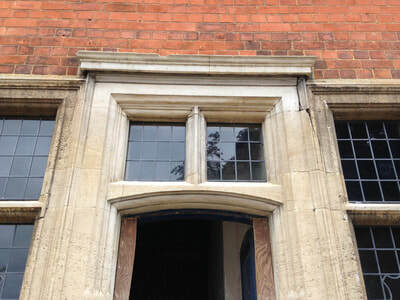 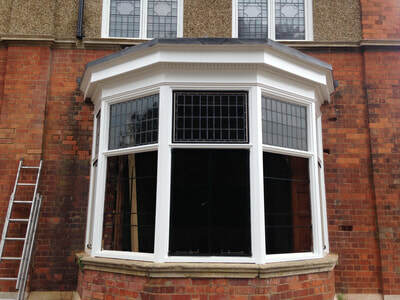 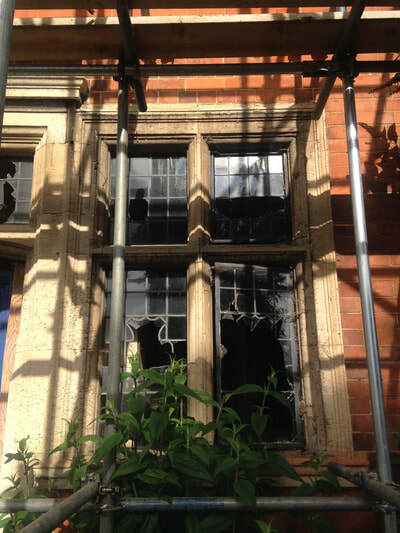 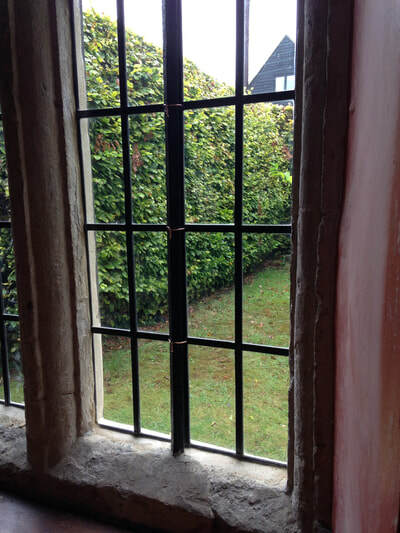 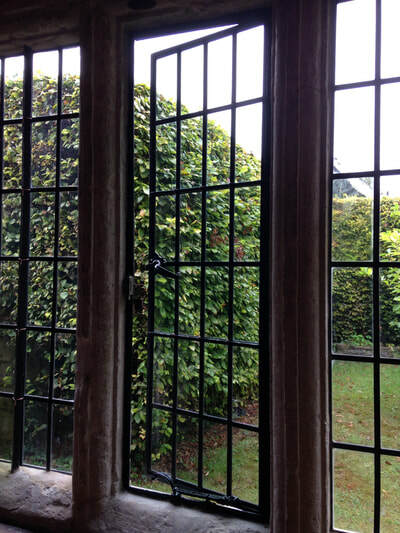 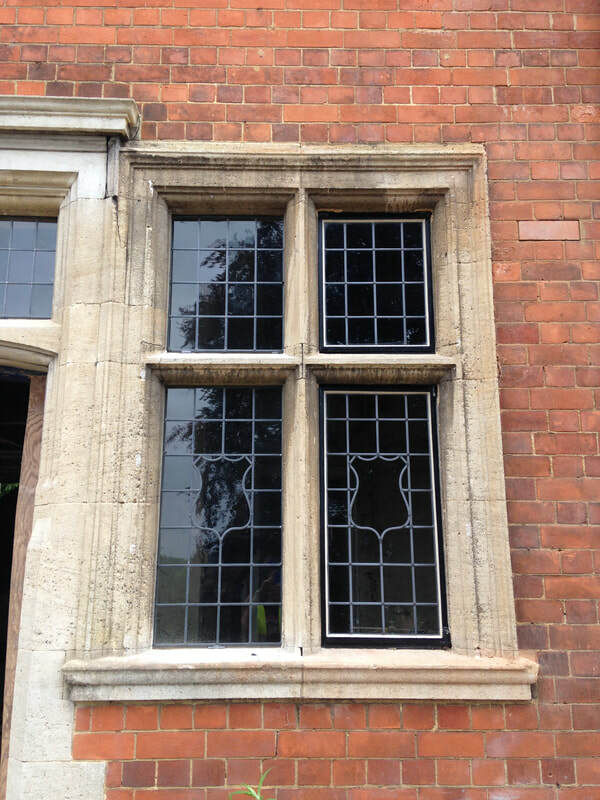 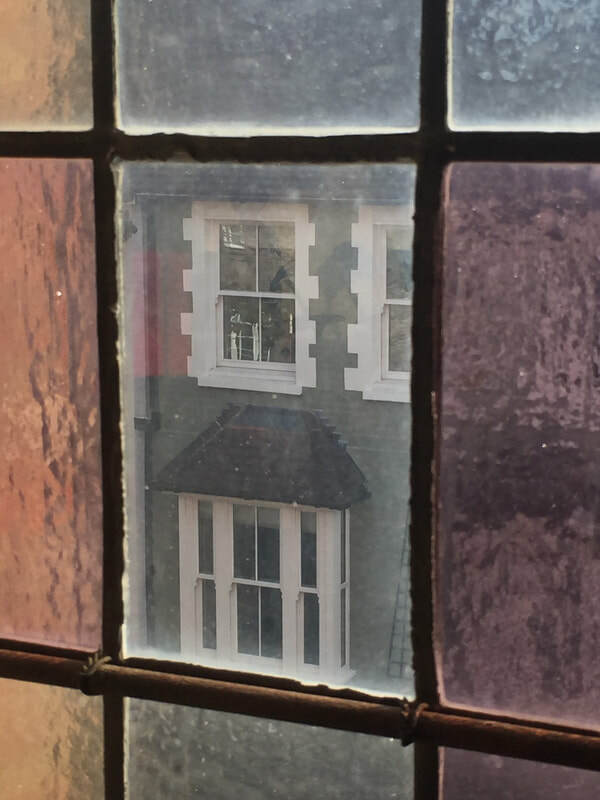 Casement and leaded glazing were in poor condition and had to be removed for full restoration. 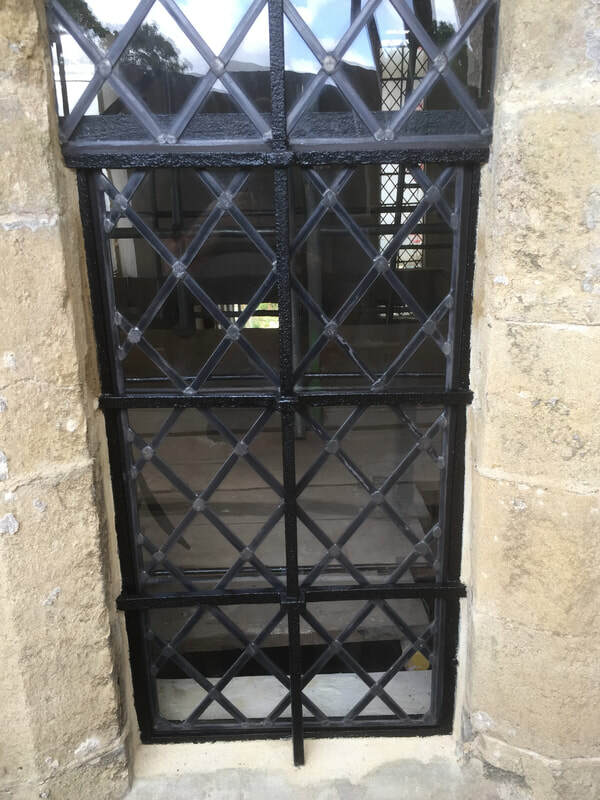 Iron ferramenta (support bar) was cleaned up and refurbished in situ. 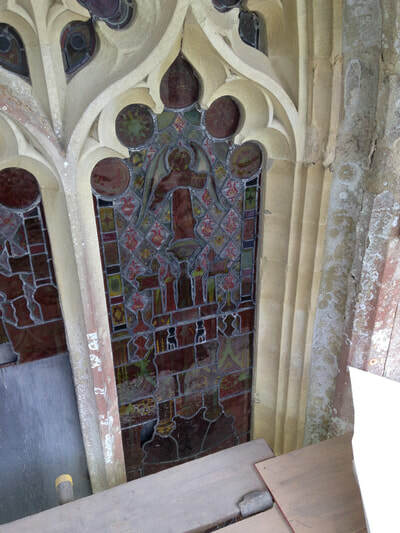 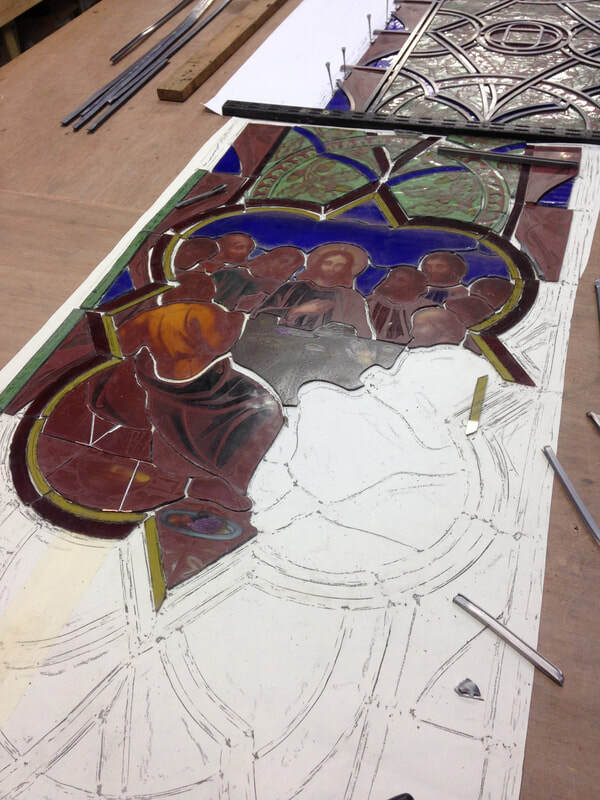 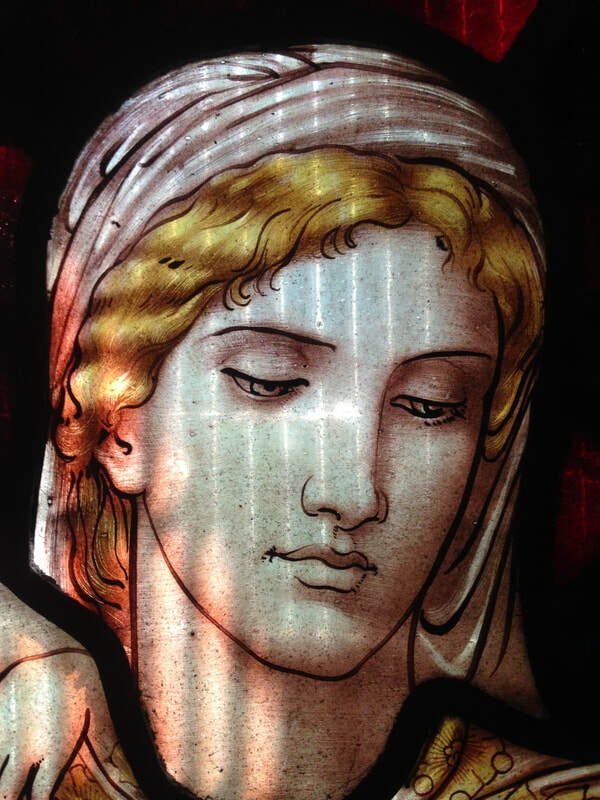 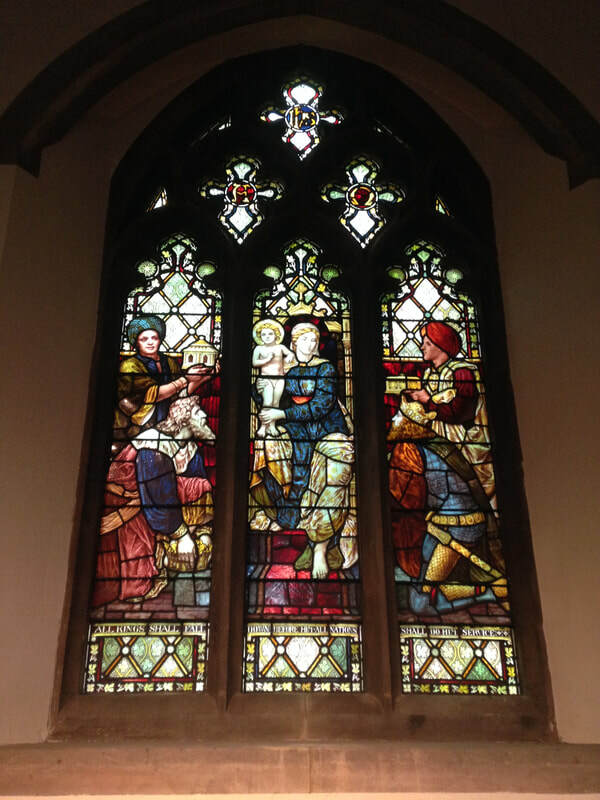 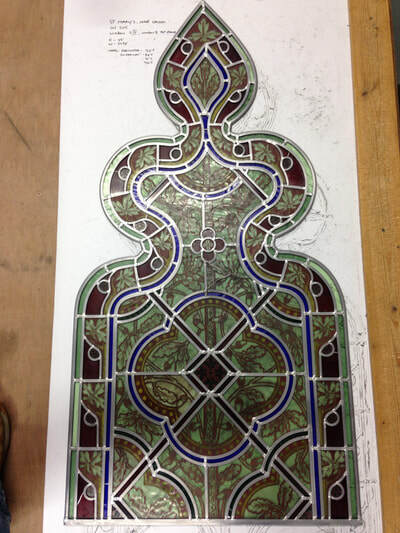 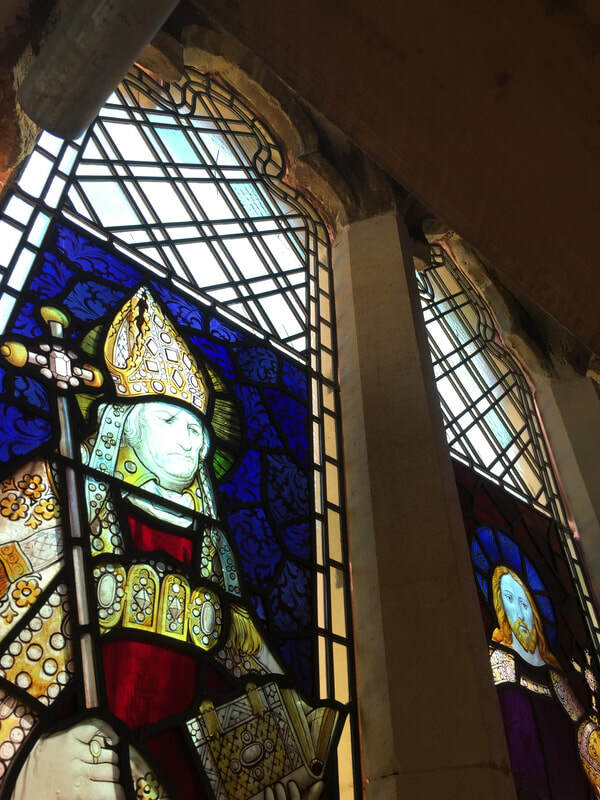 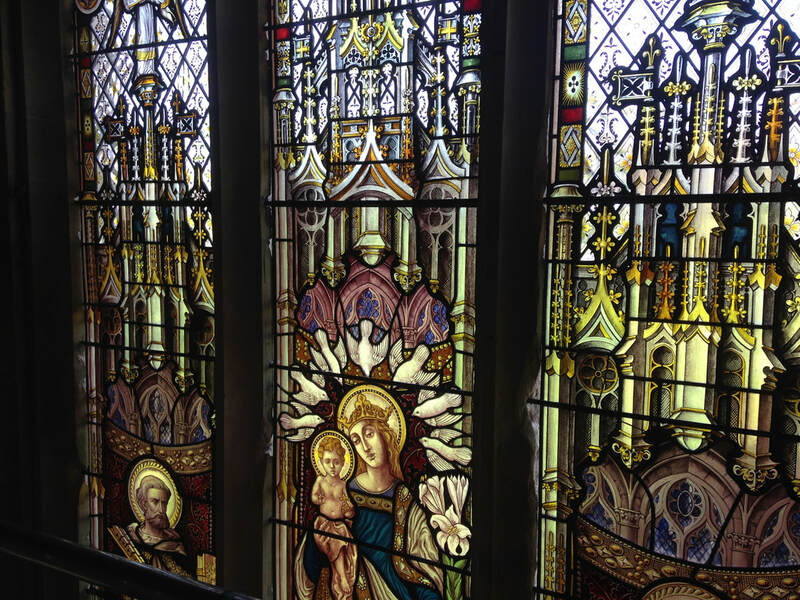 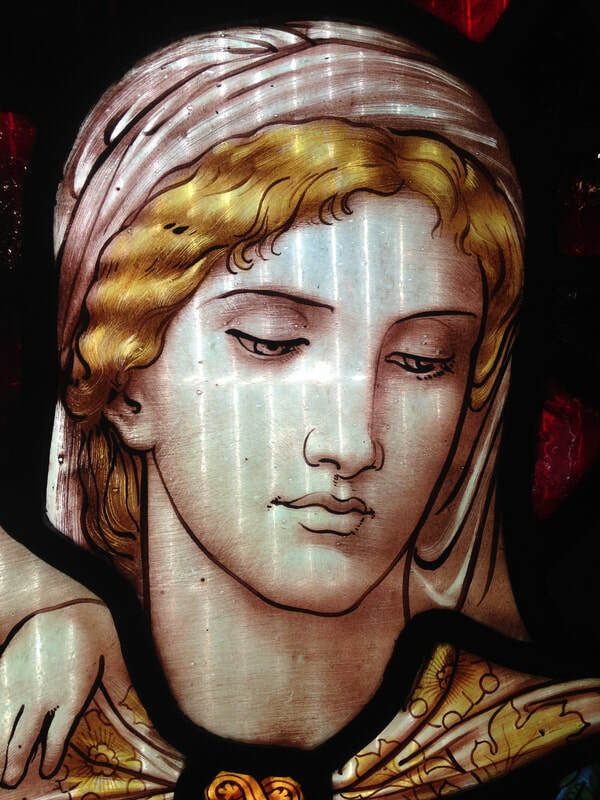 Removal and full restoration of stained glass from North aisle. 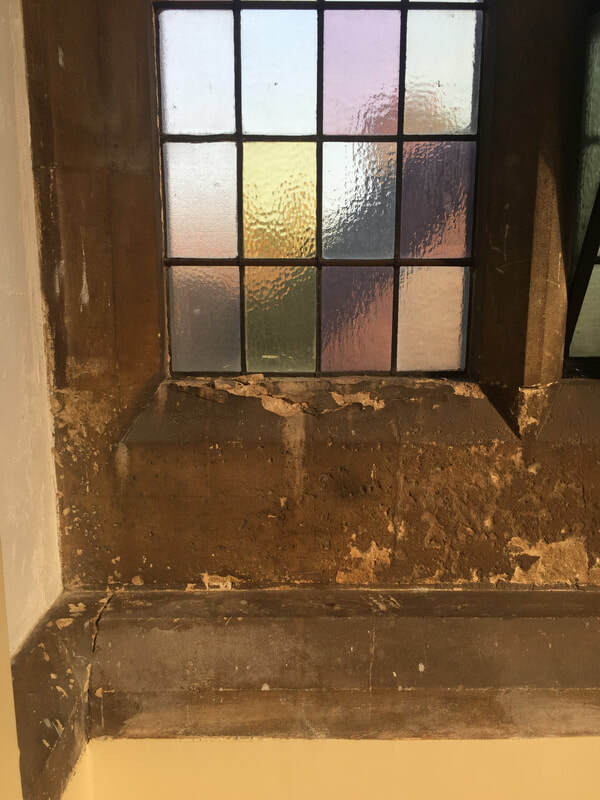 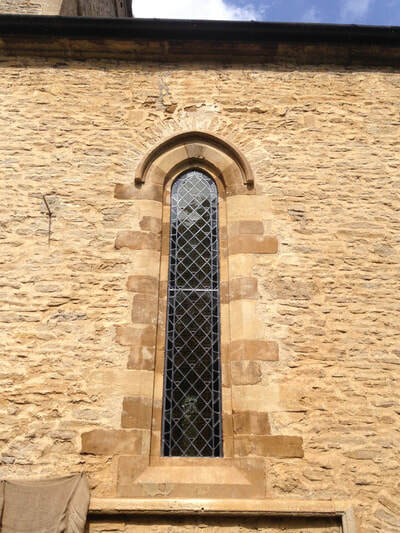 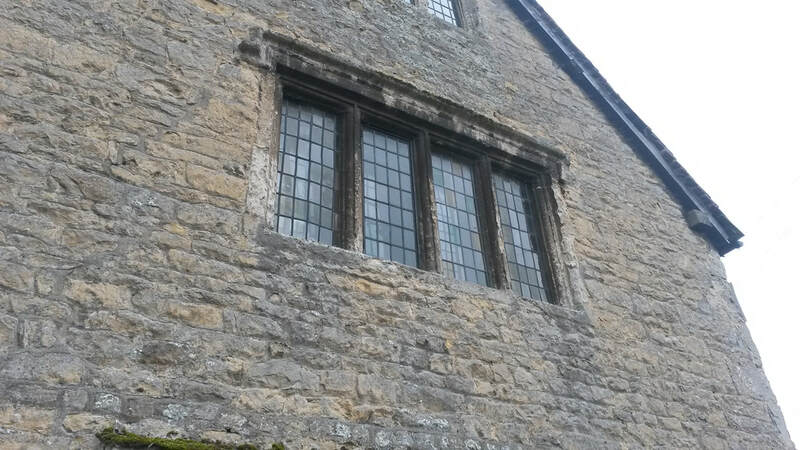 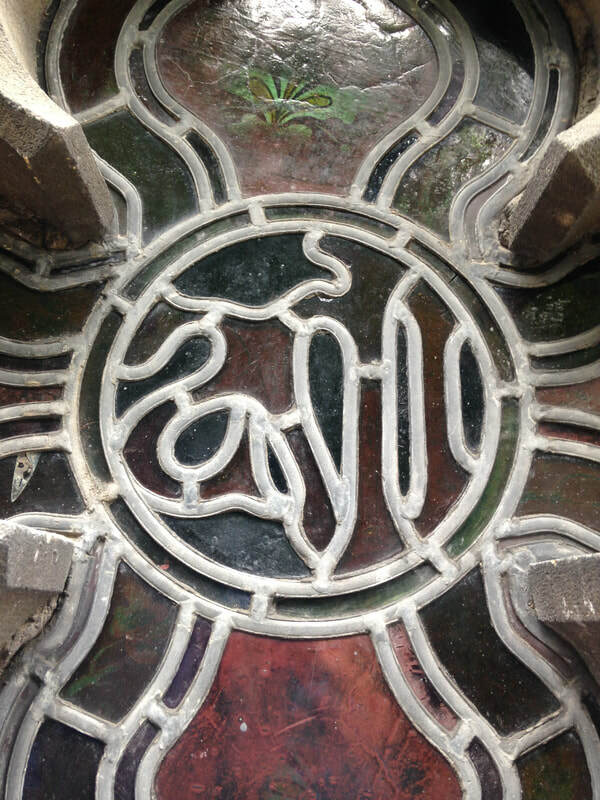 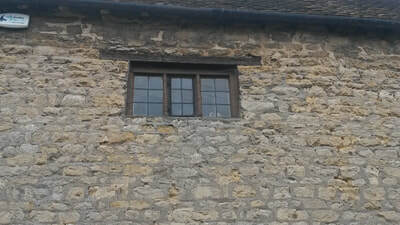 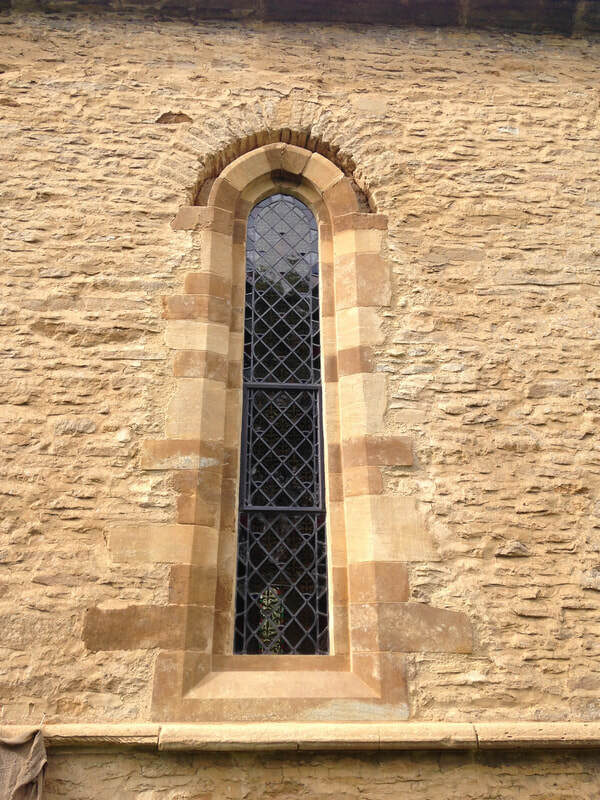 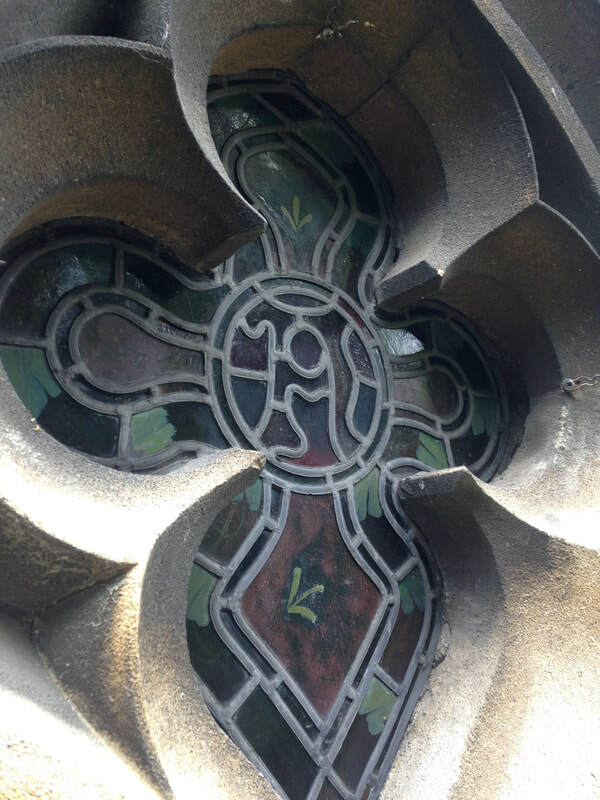 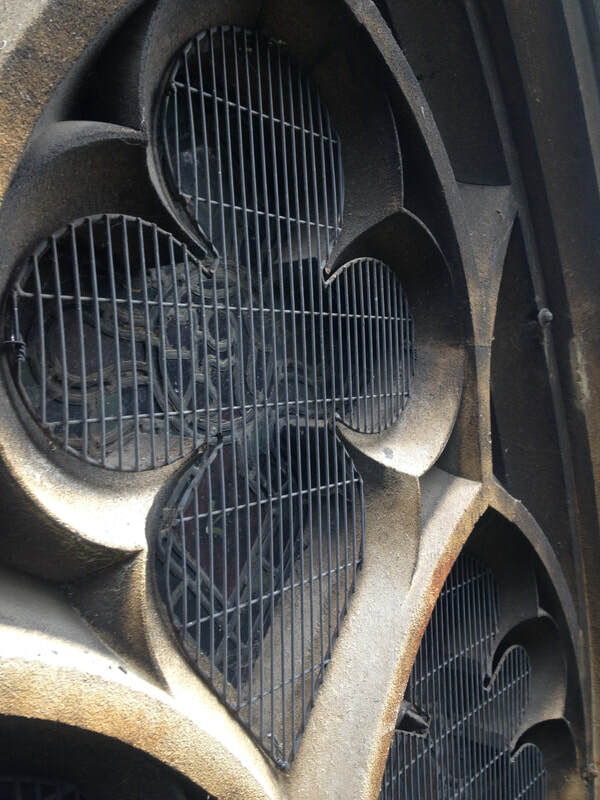 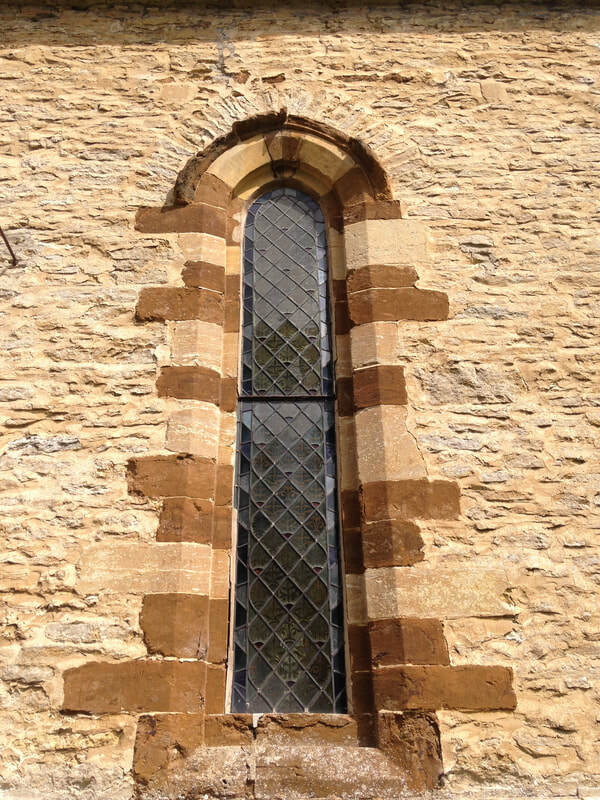 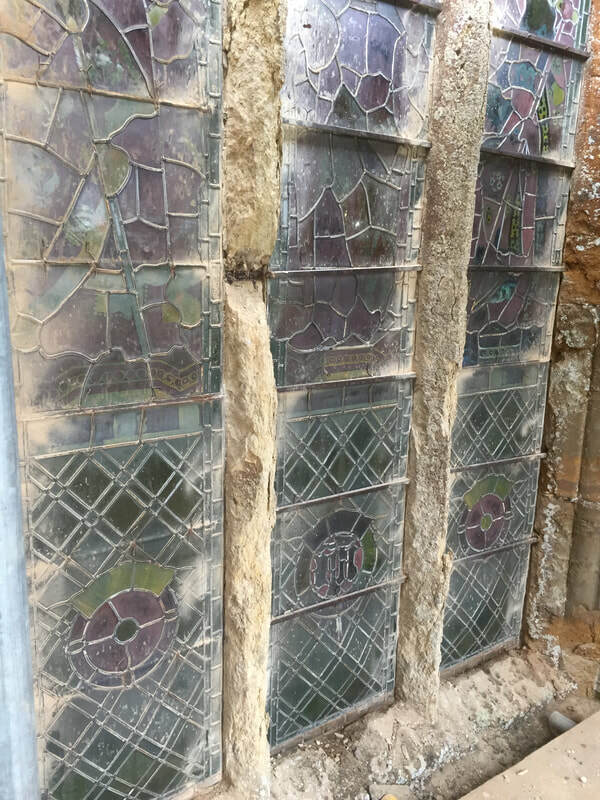 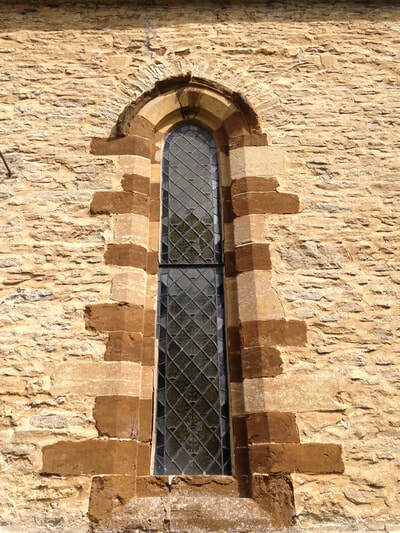 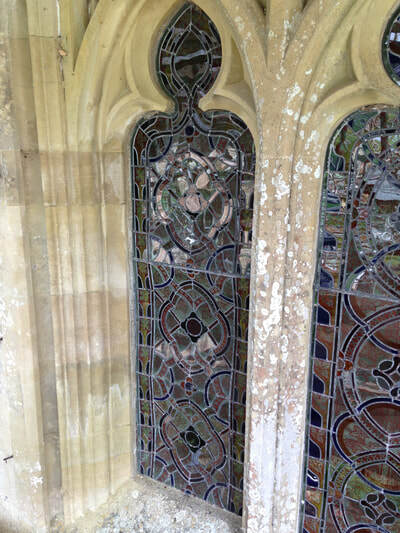 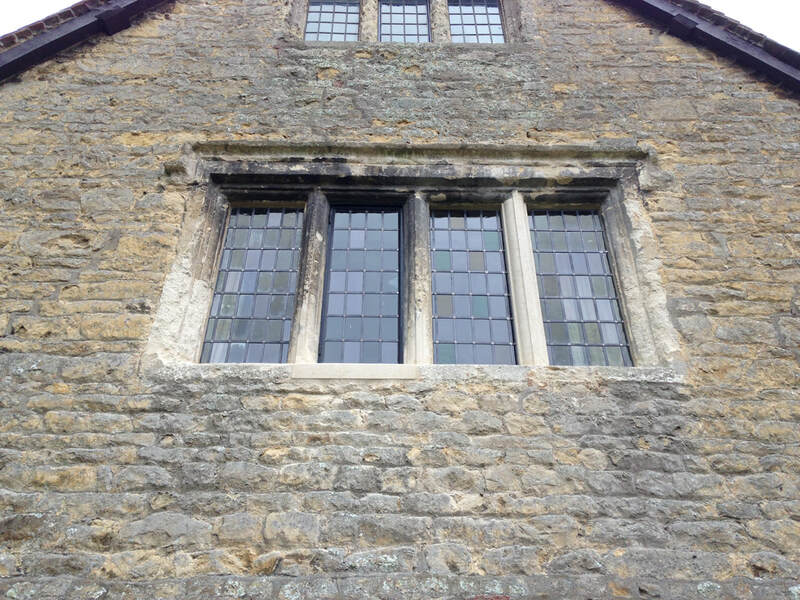 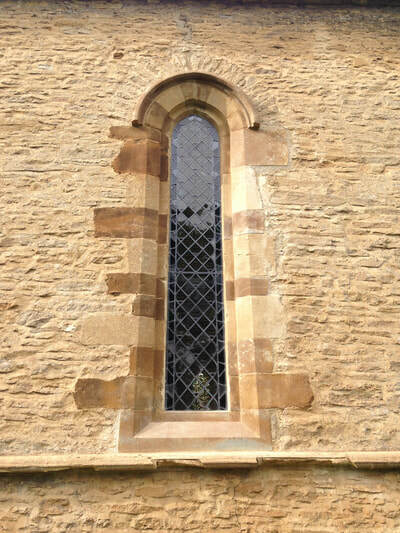 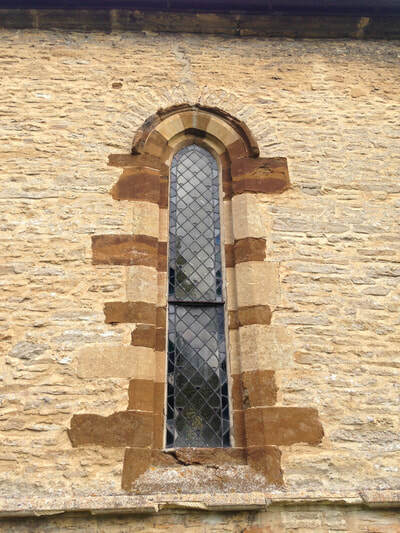 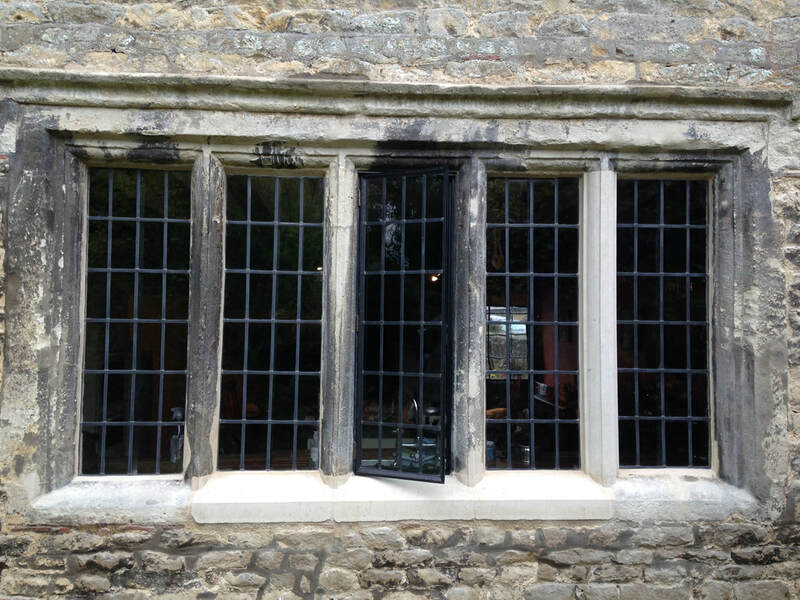 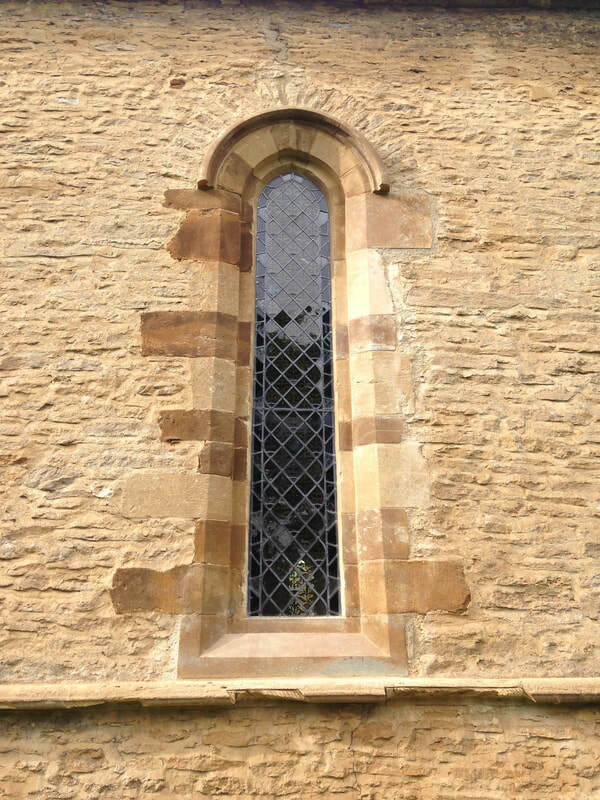 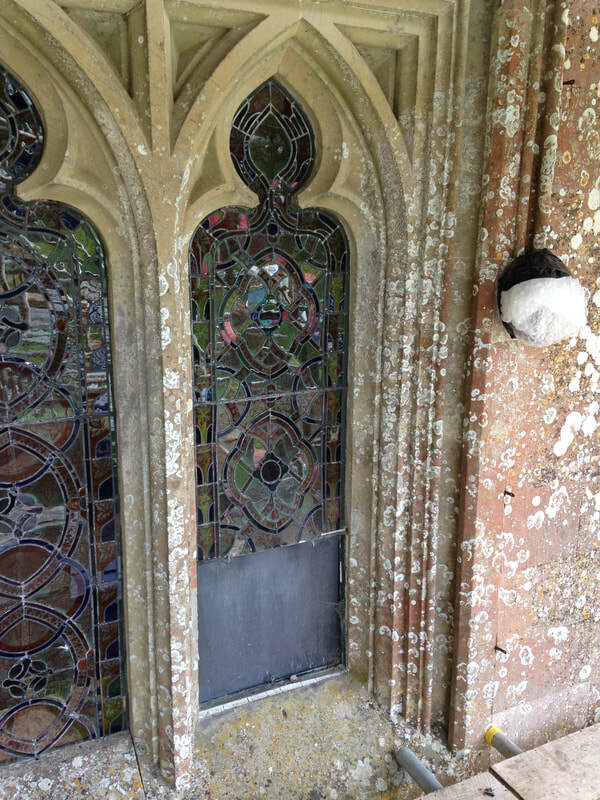 Stone work and glazing were in very poor condition, requiring urgent attention. 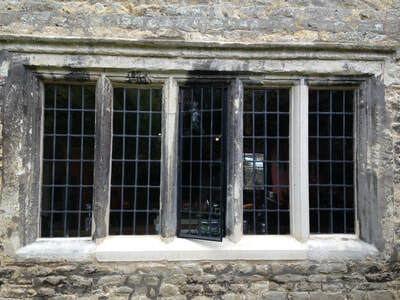 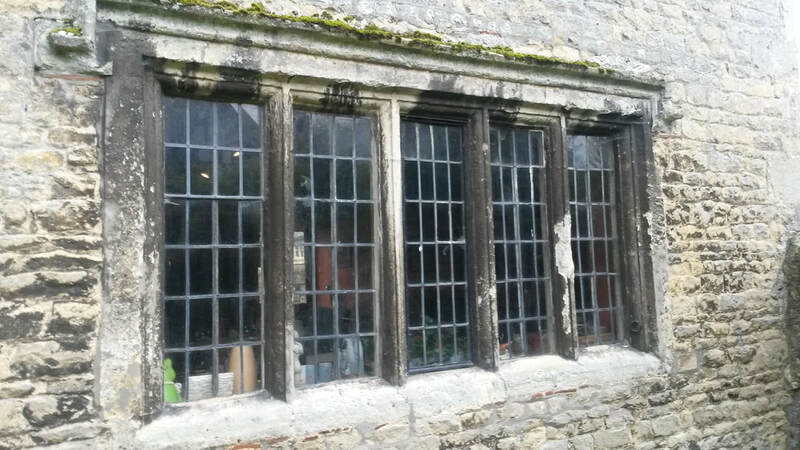 In situ glazing repairs at the Deans Hall, approx 50 in total. 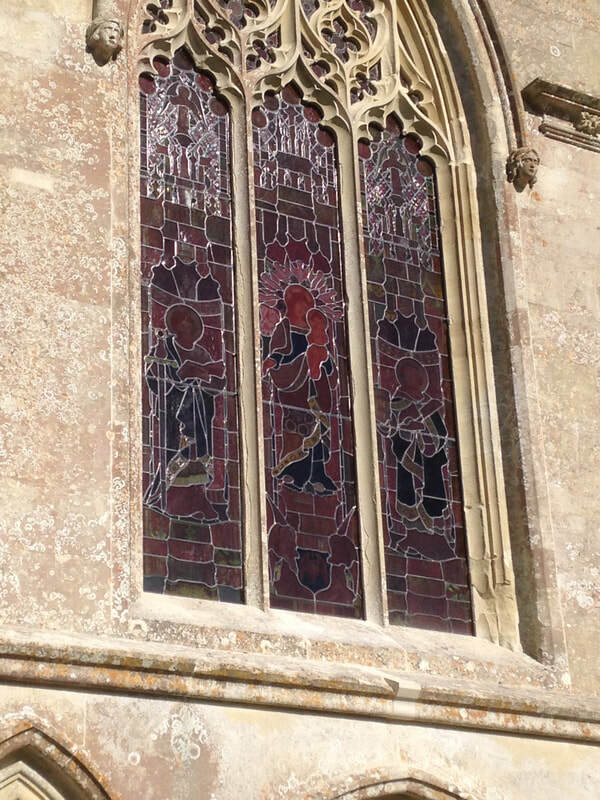 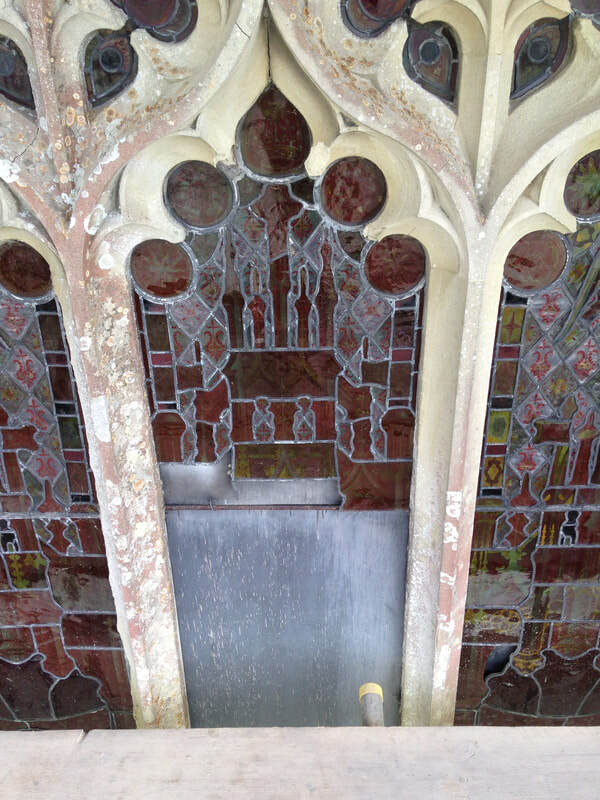 Specialist cleaning in situ to East window. 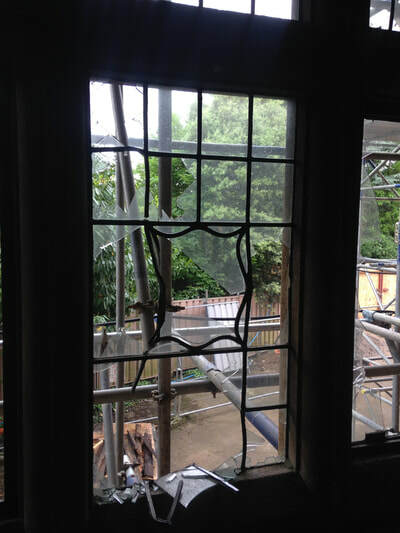 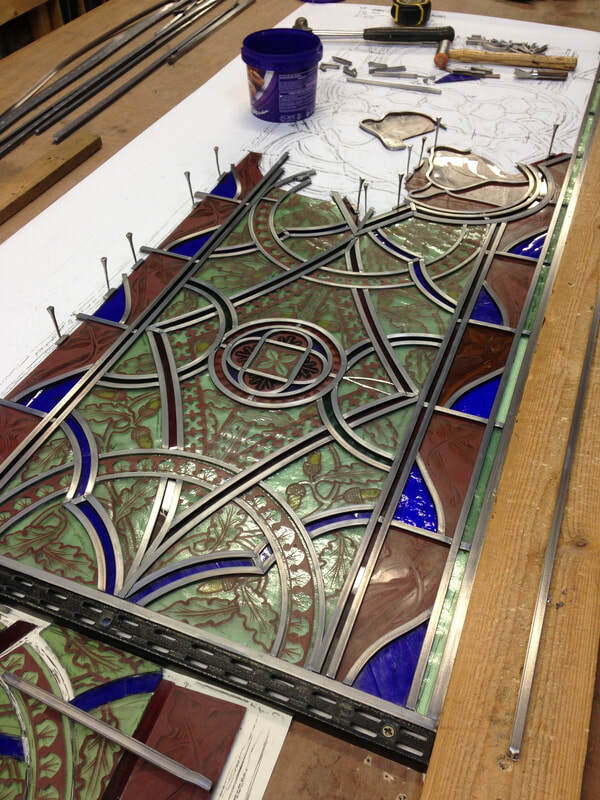 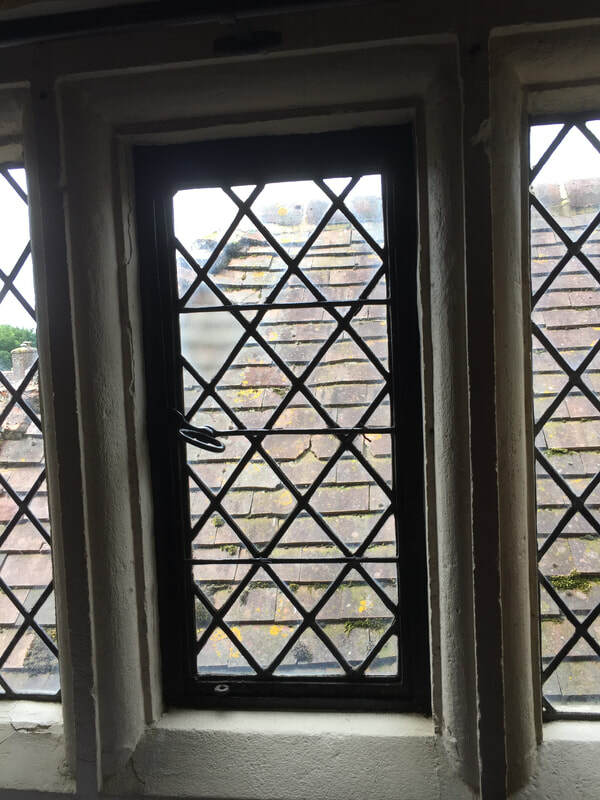 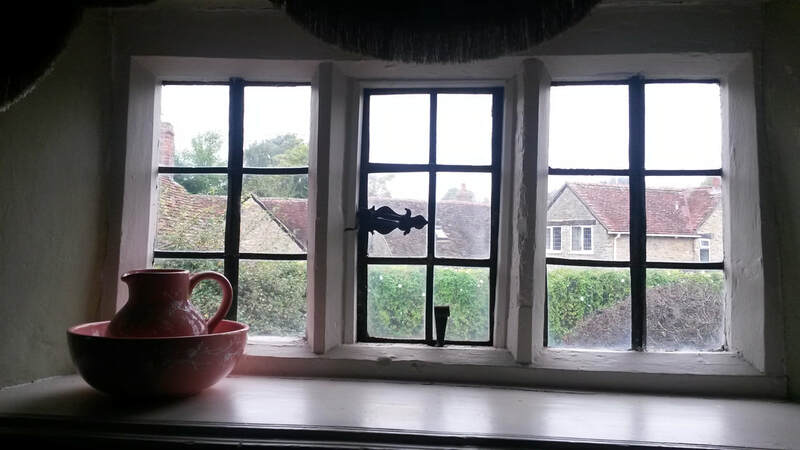 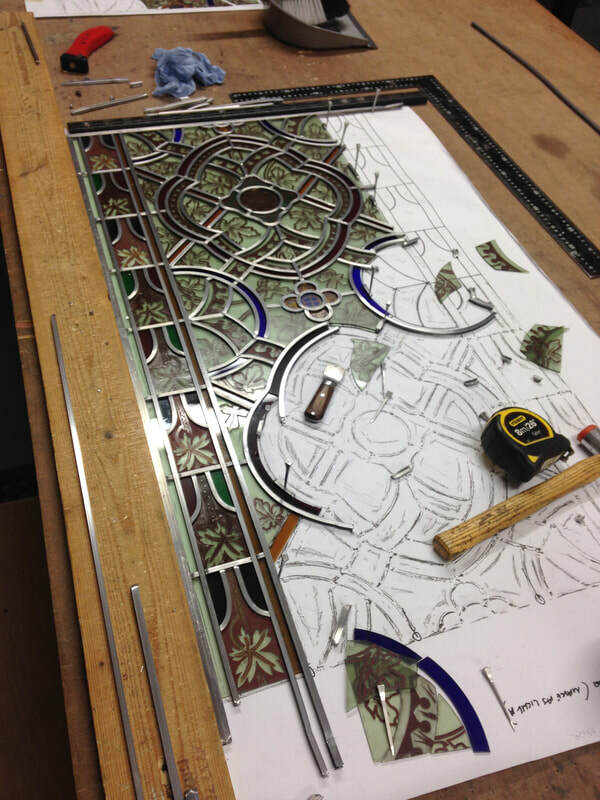 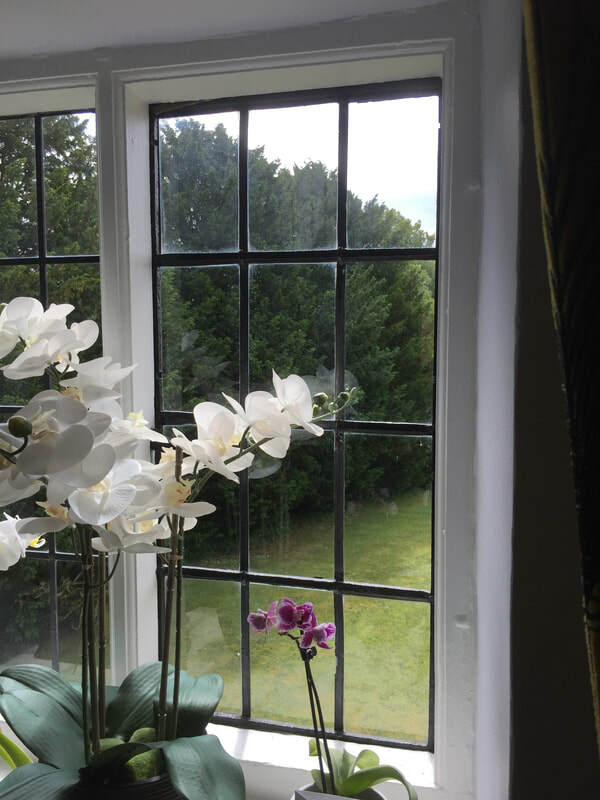 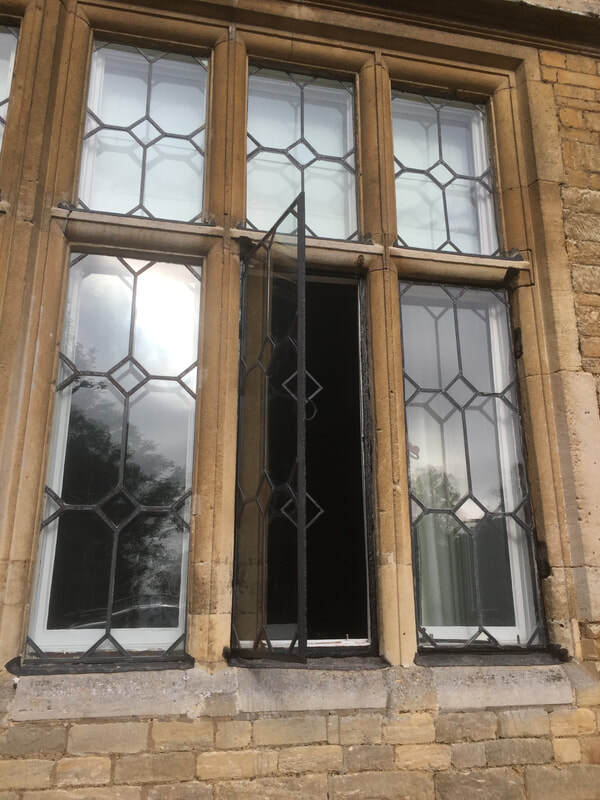 Repairs to leaded lights and casements after two attempted break-ins. 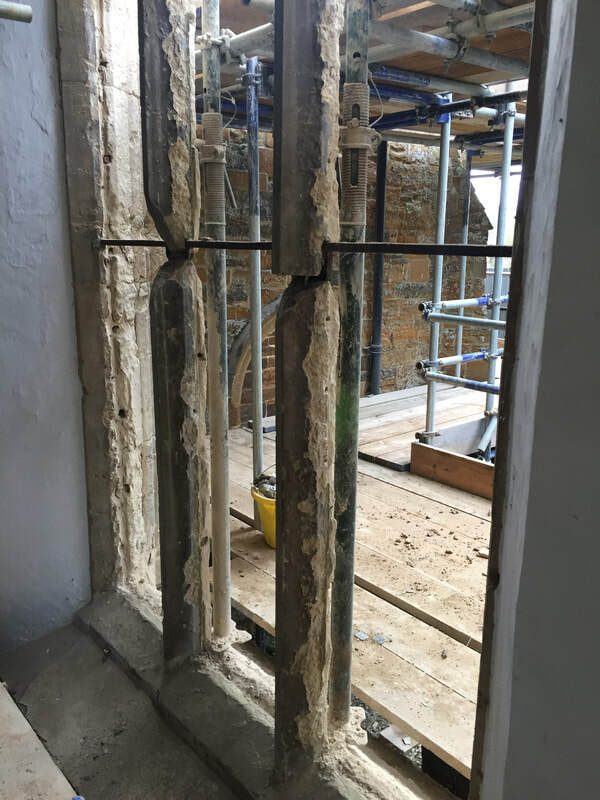 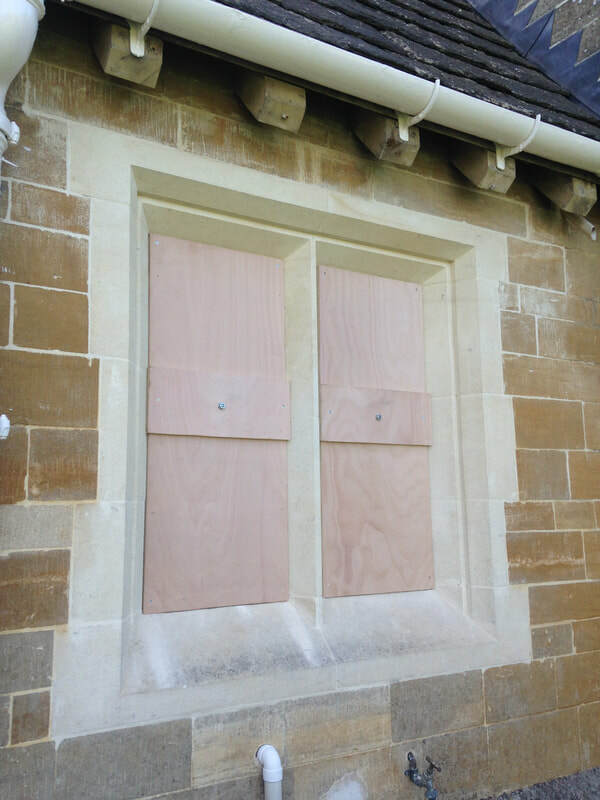 All three vestry casements were removed to have stronger saddle bars and upgraded security installed. 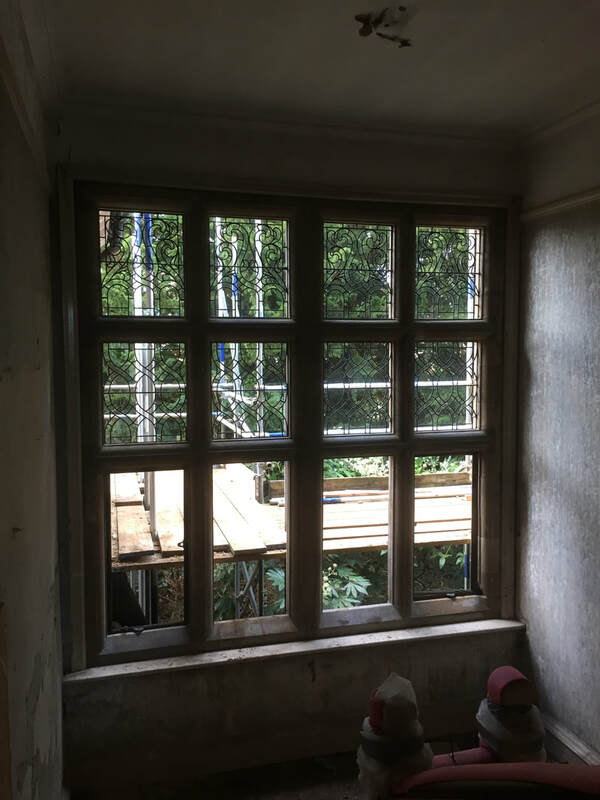 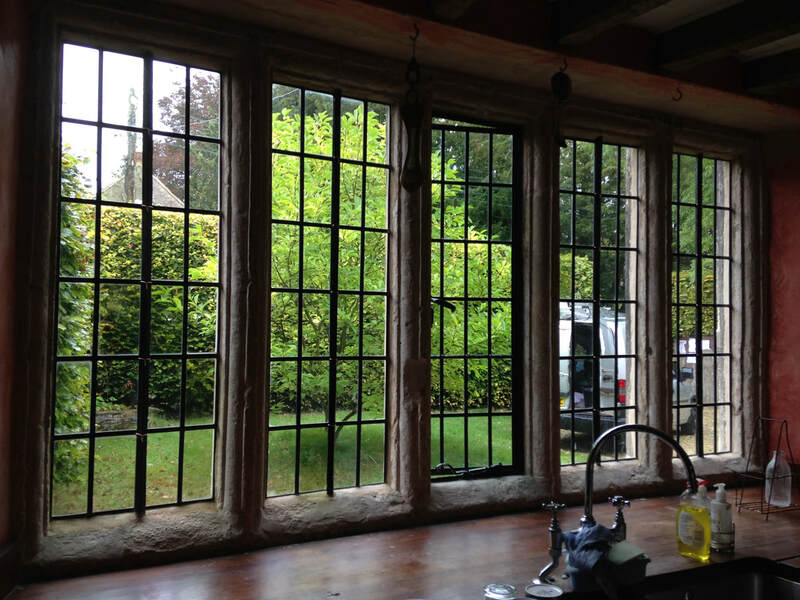 A few images from before and after restoration of the many windows and new fittings that had to be salvaged or remanufactured. 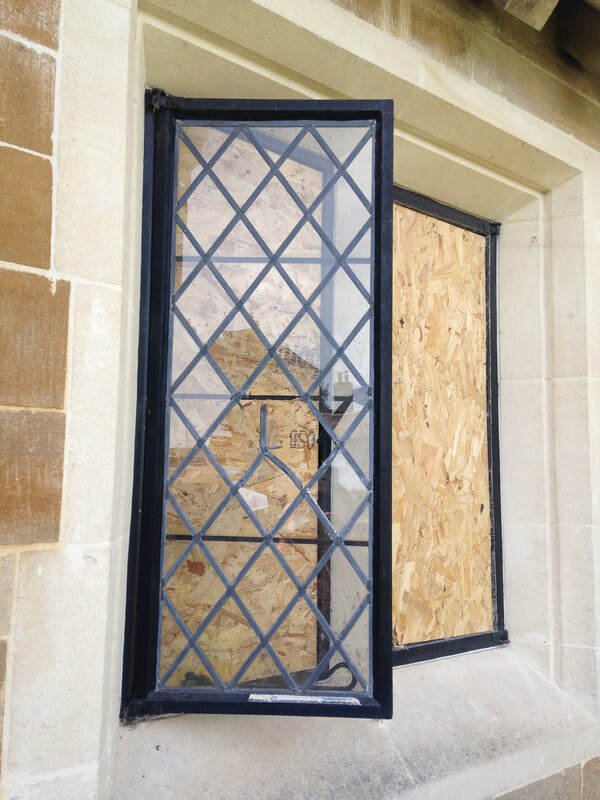 The property had been heavily vandalised and left open to the elements until restoration began. 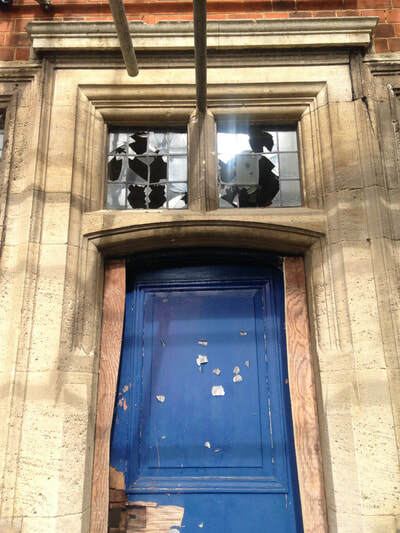 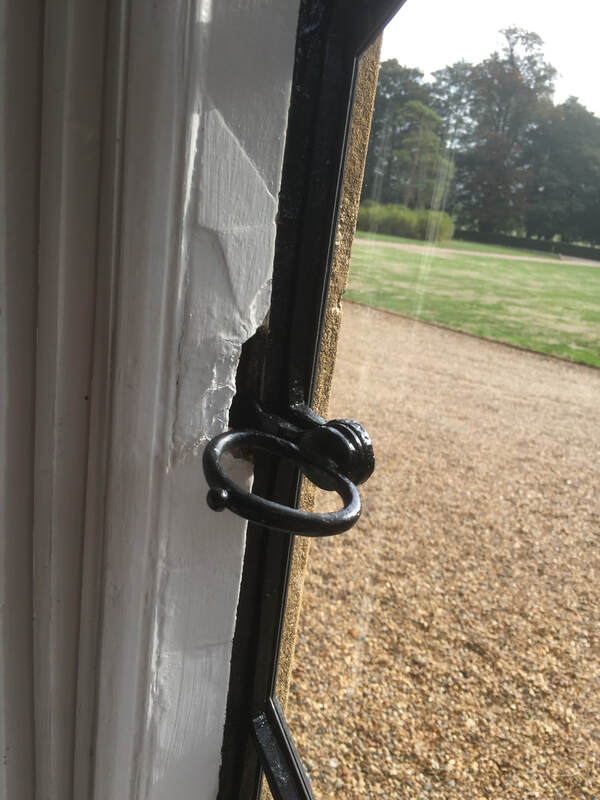 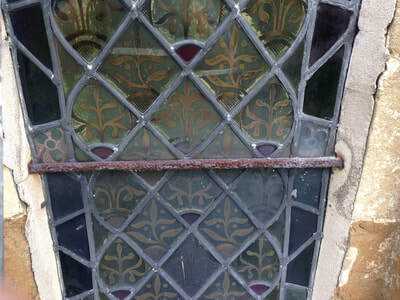 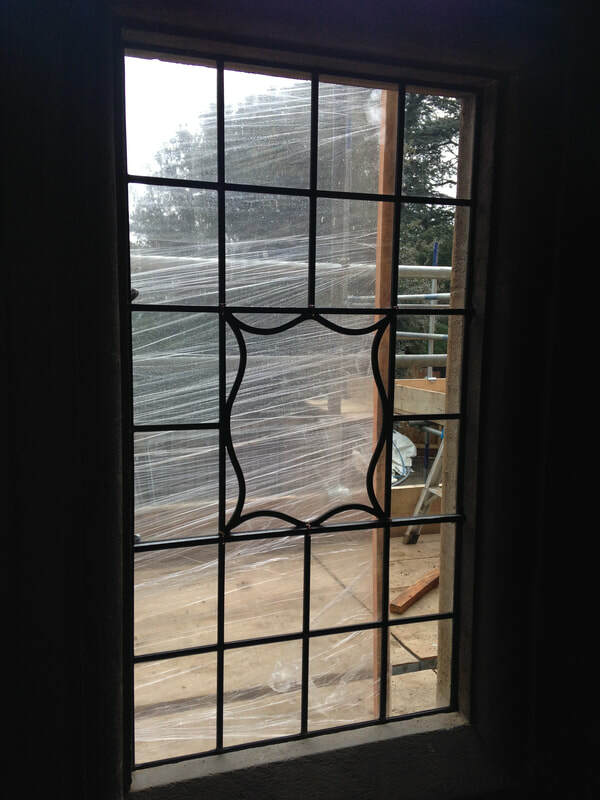 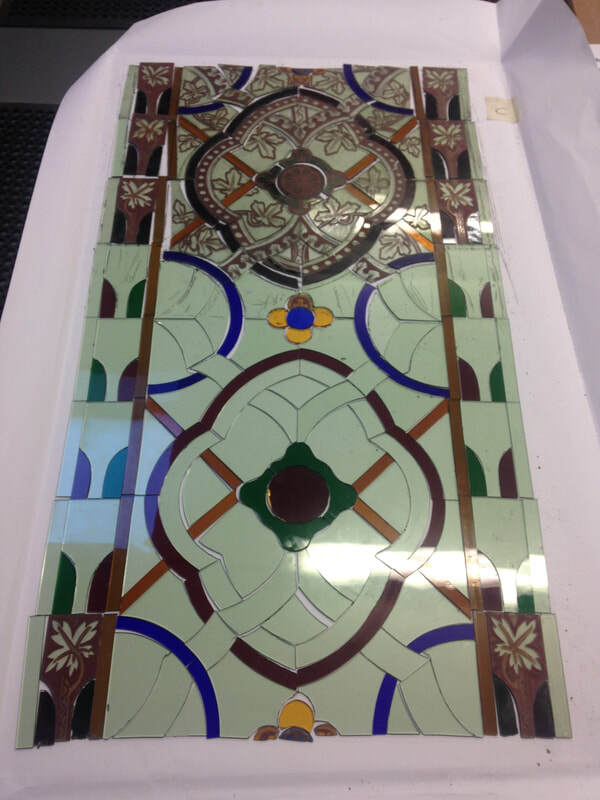 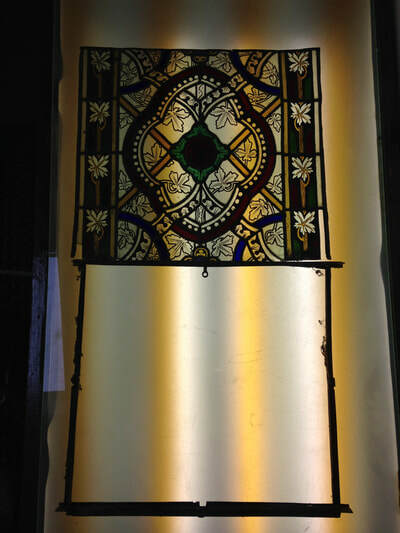 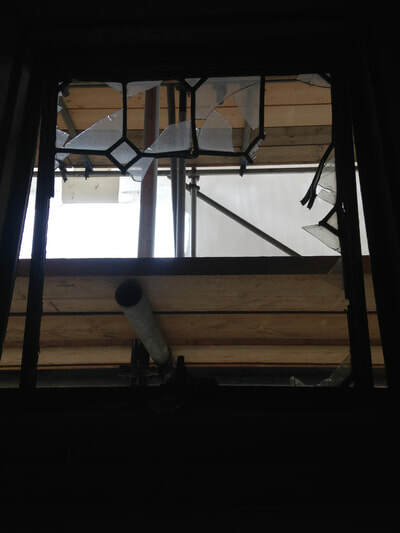 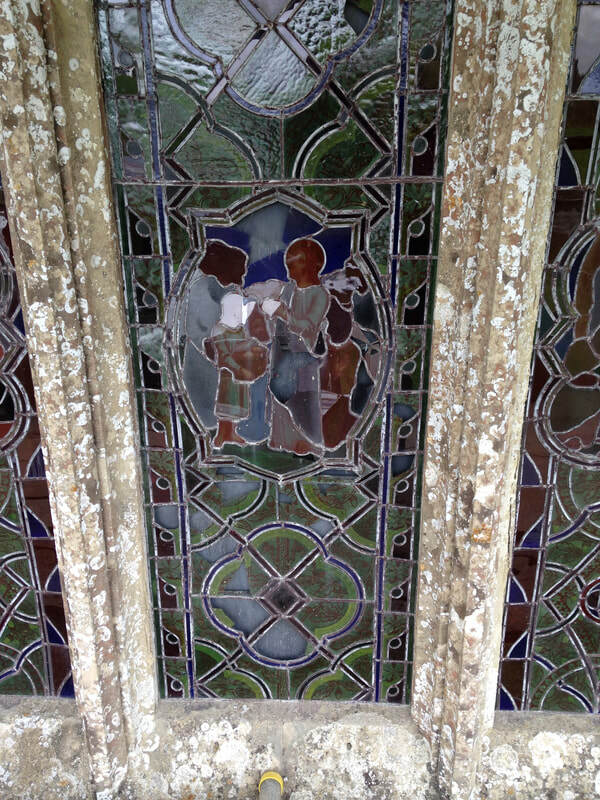 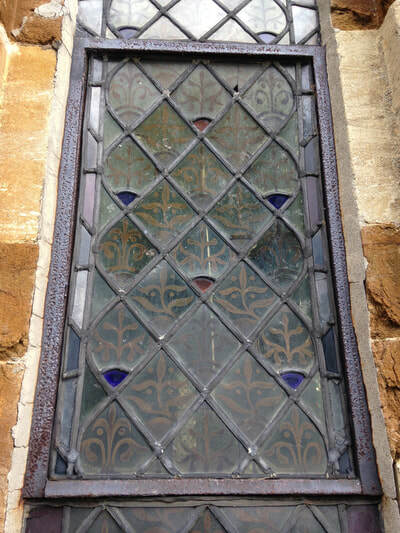 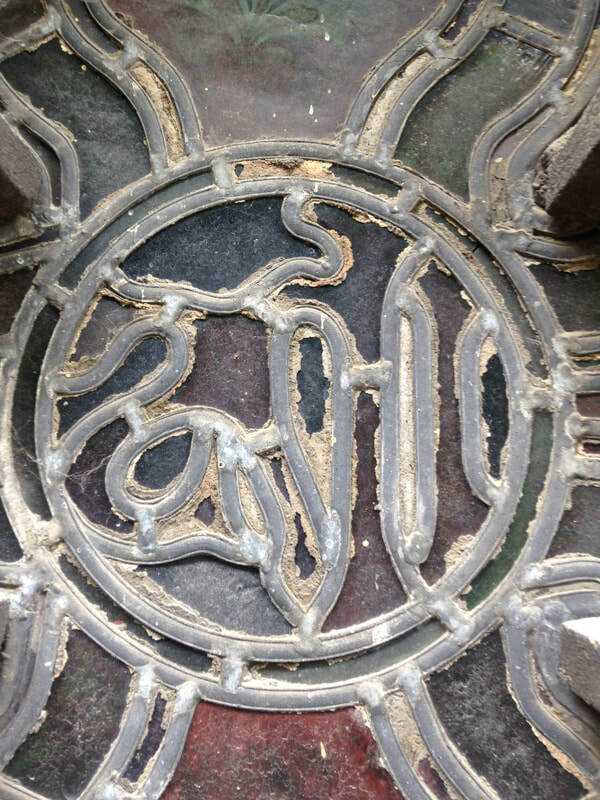 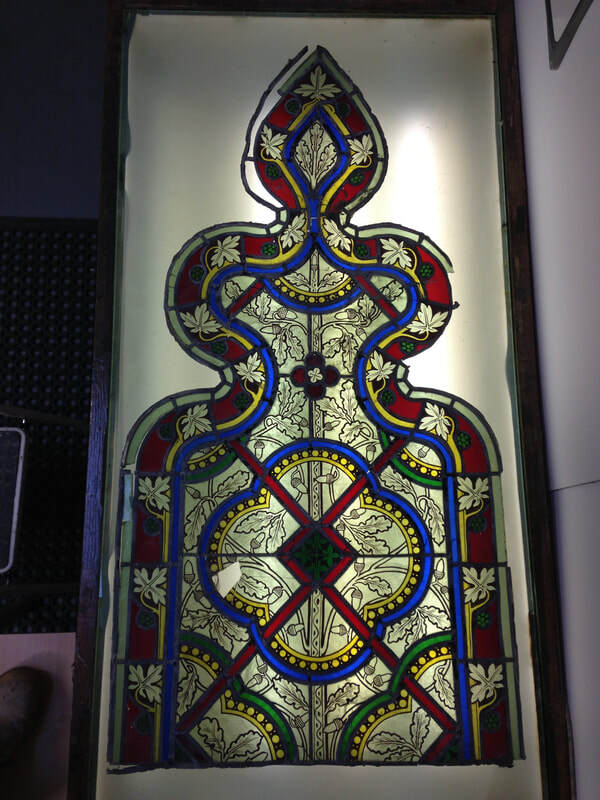 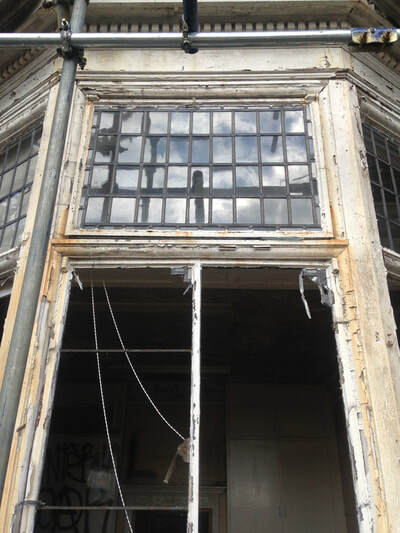 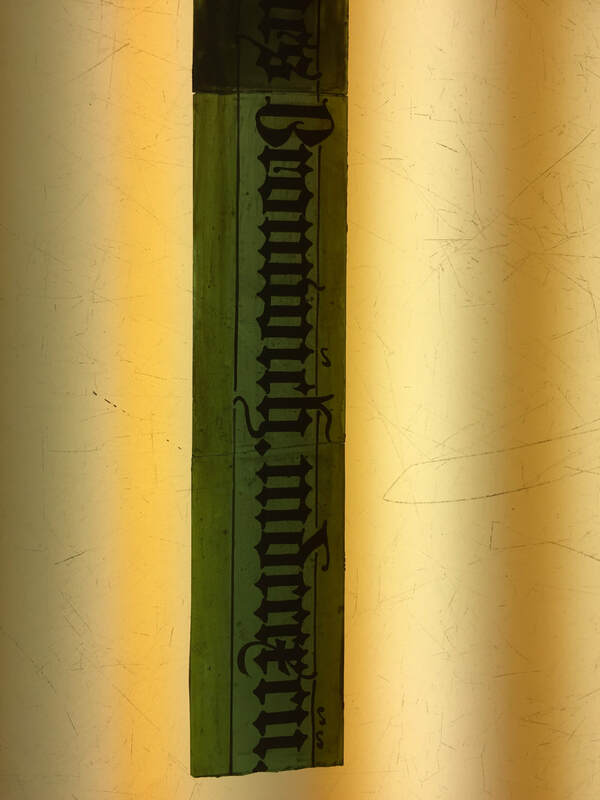 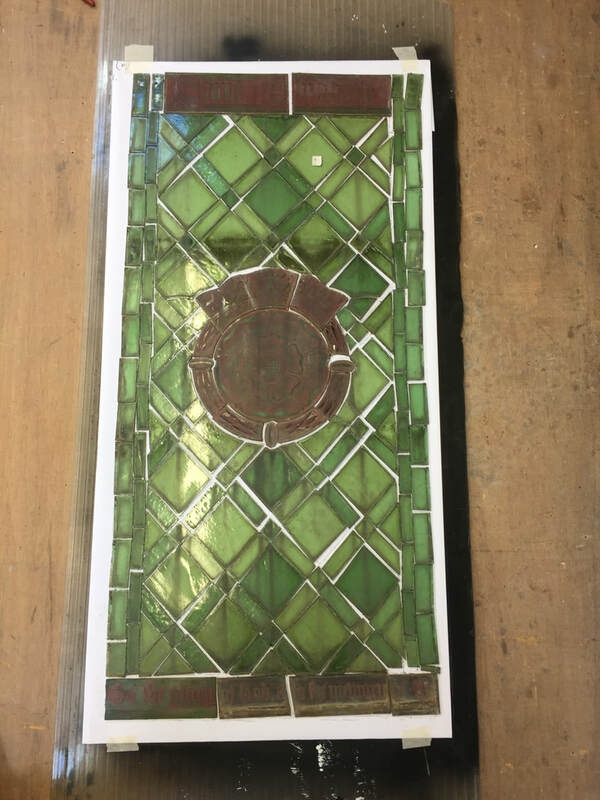 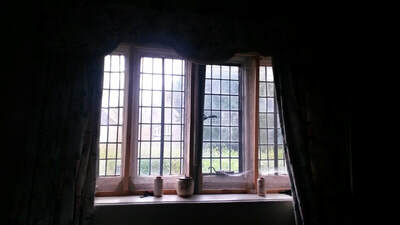 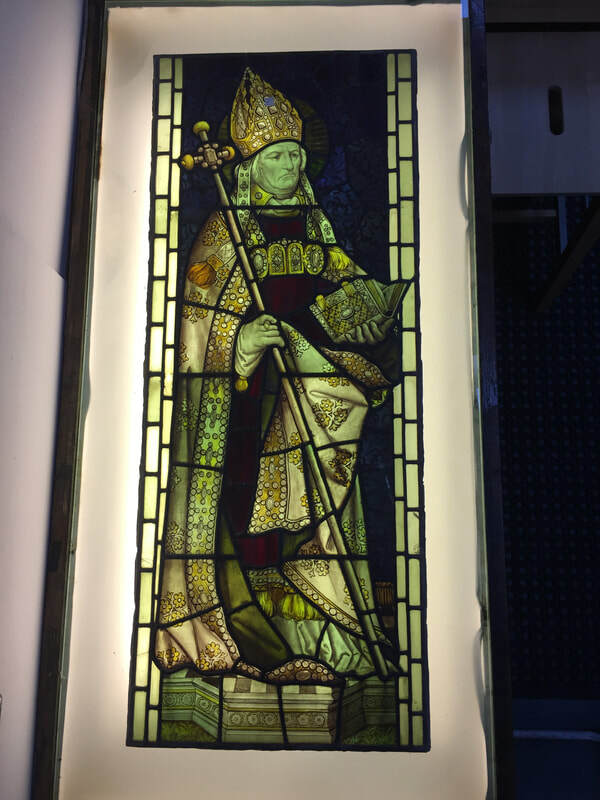 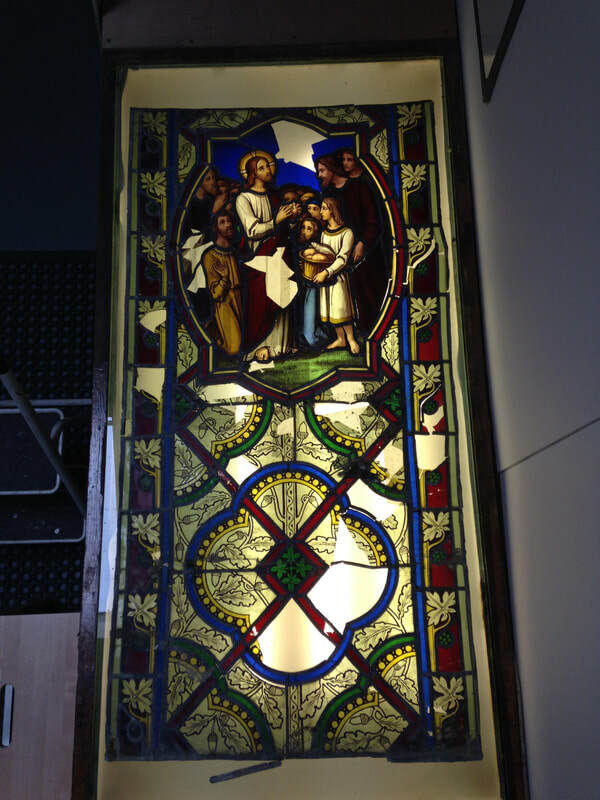 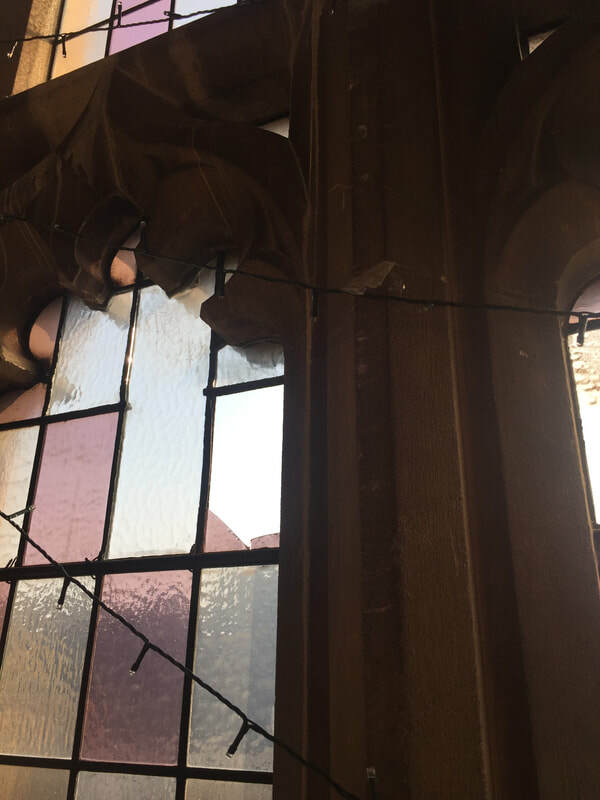 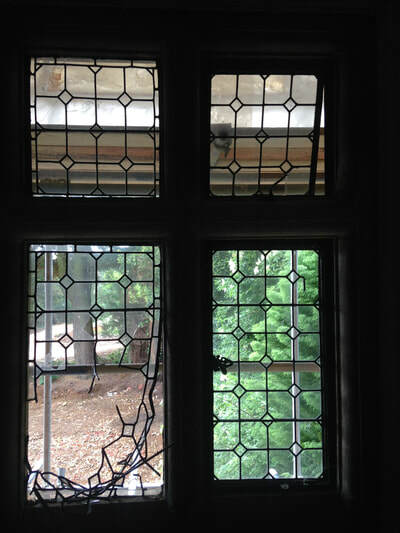 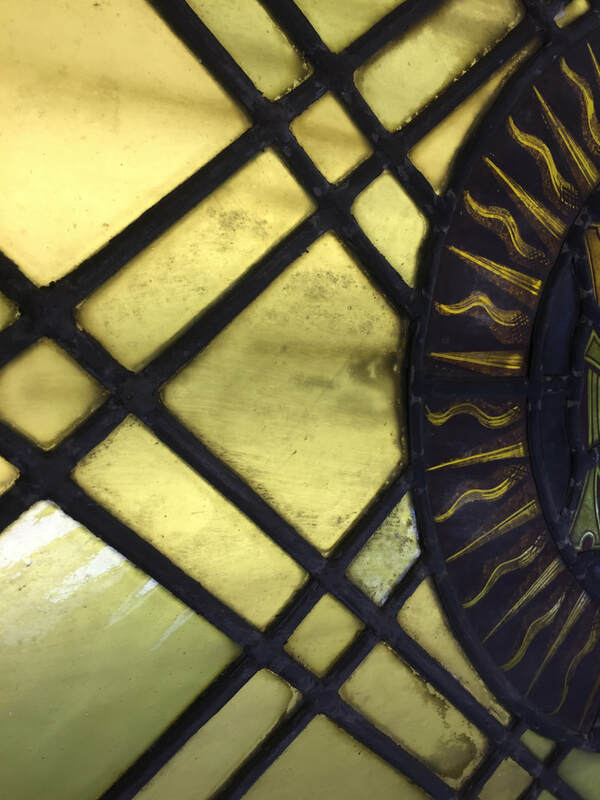 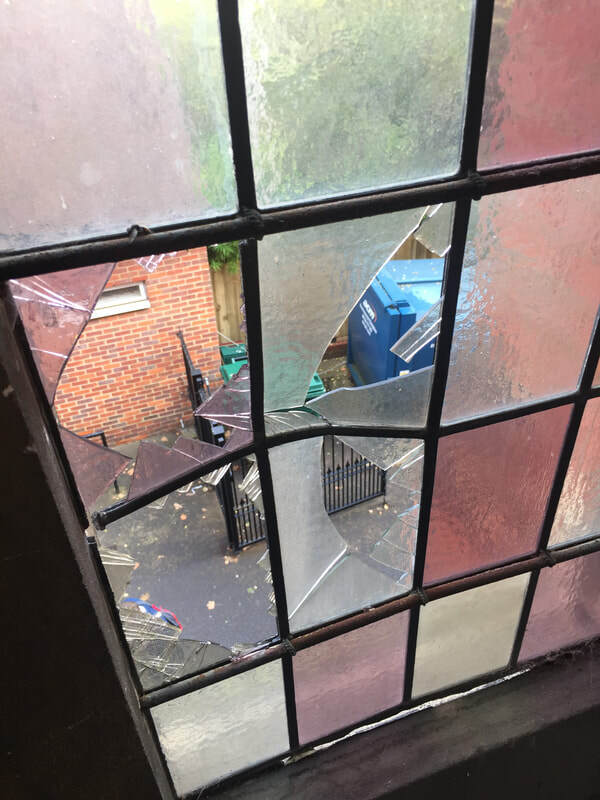 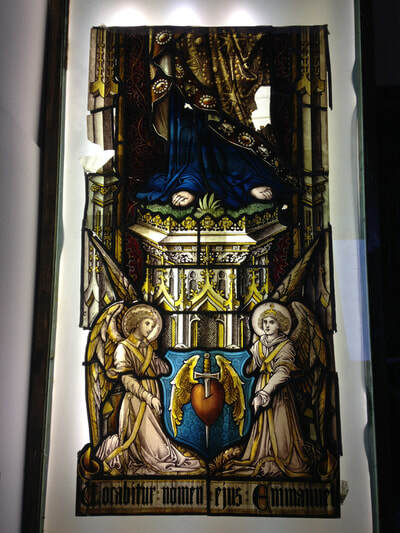 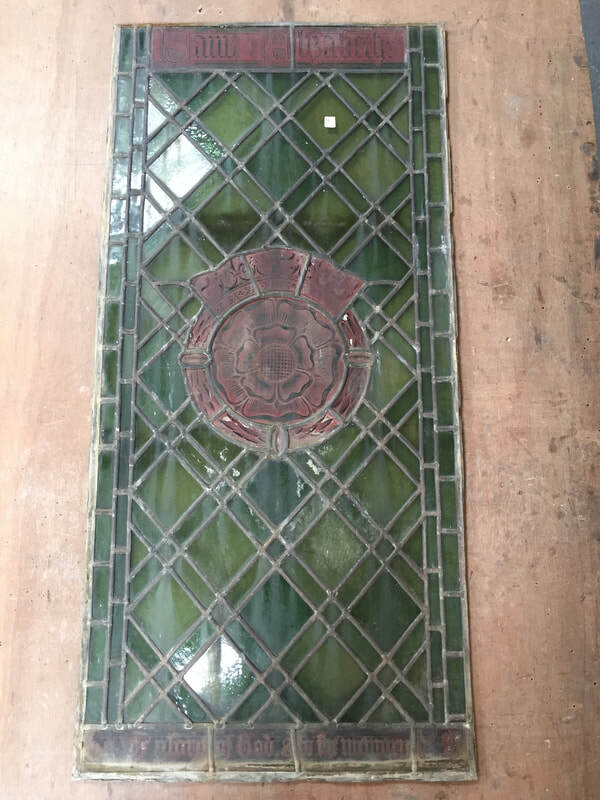 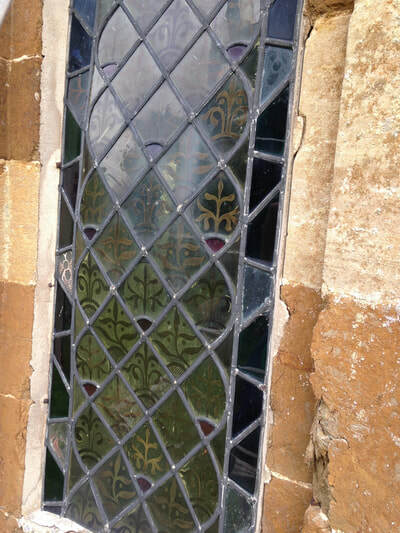 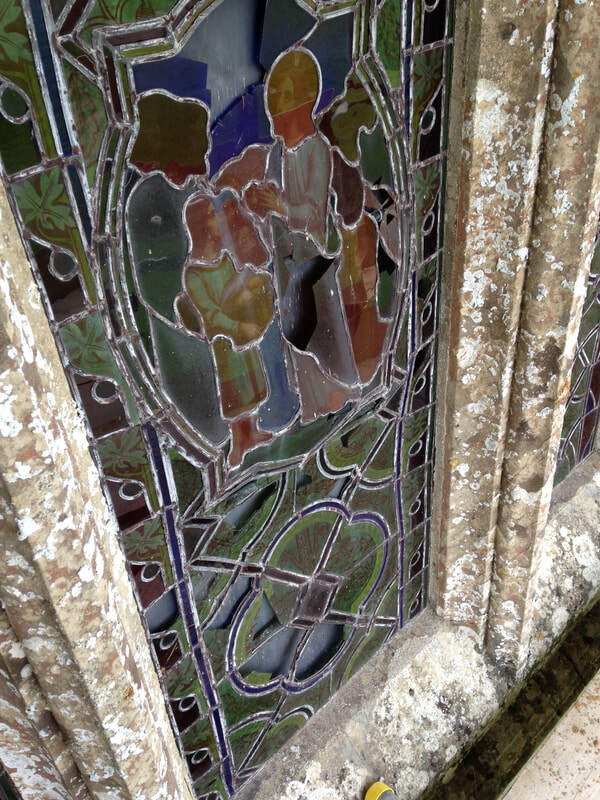 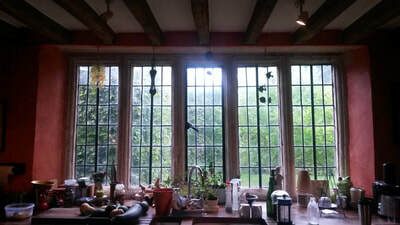 All original glazing was damaged and the original brass window furniture damaged or stolen. The images illustrate the extent of the damage and the finished result. 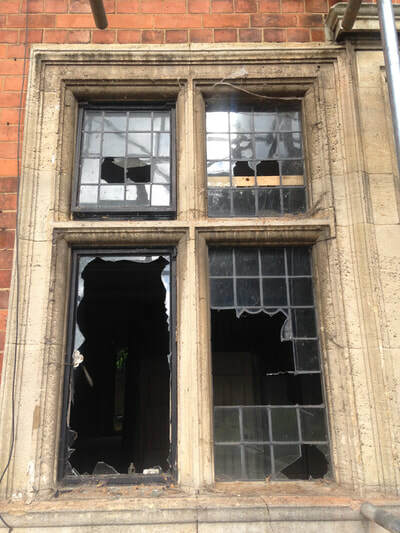 The property had been heavily vandalised, with very few windows and fittings left intact. 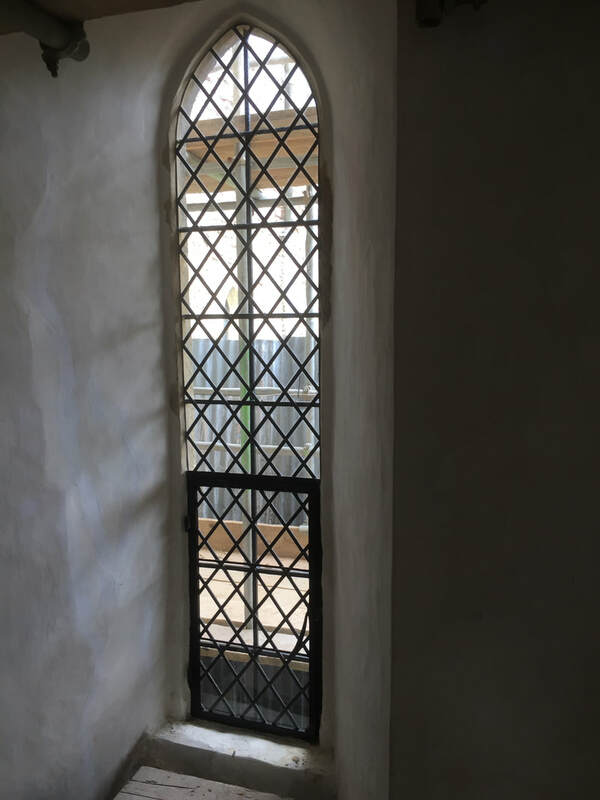 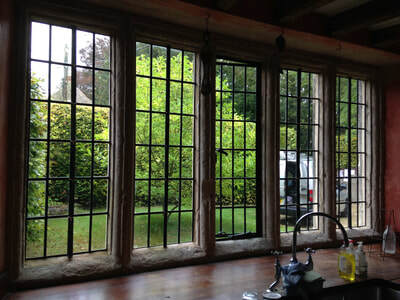 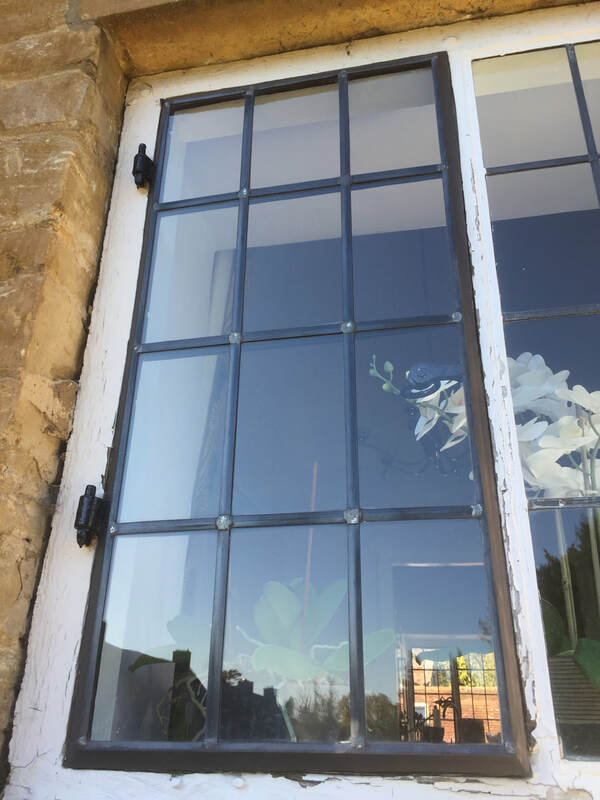 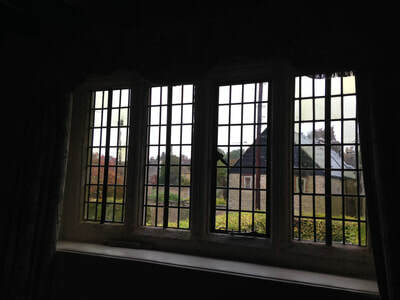 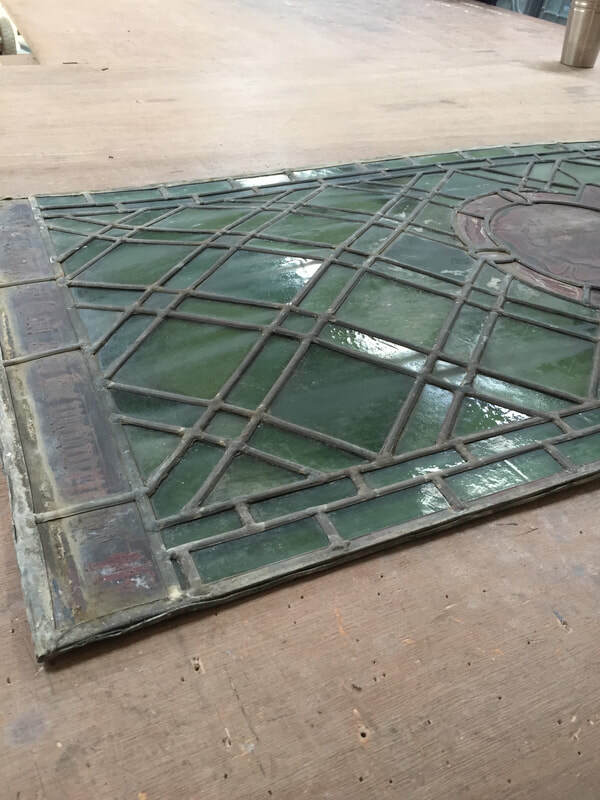 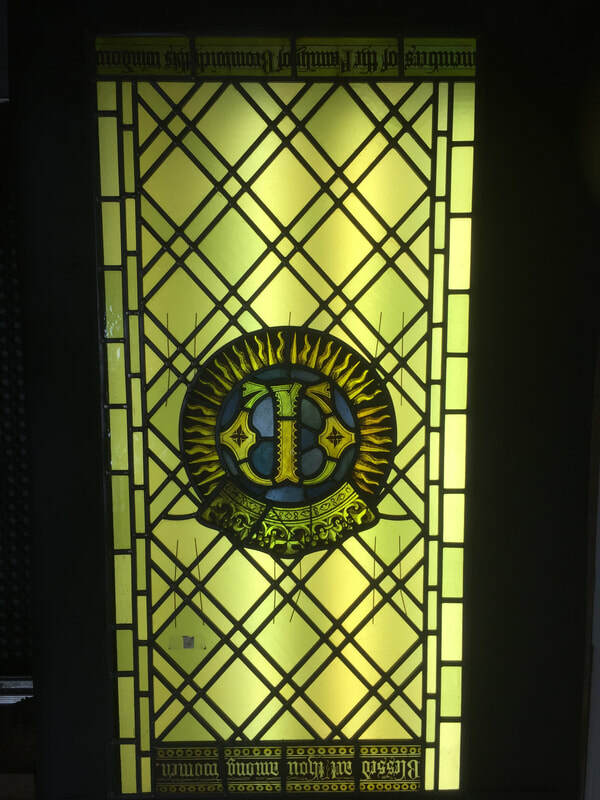 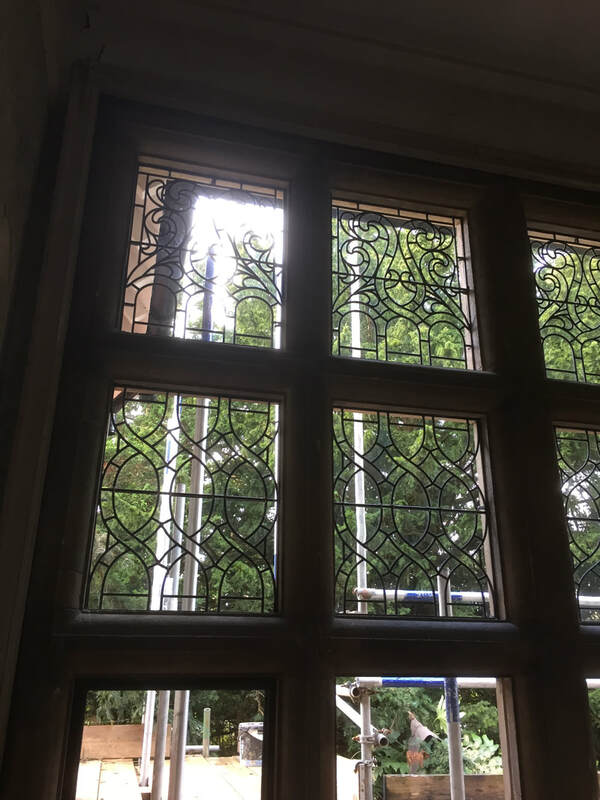 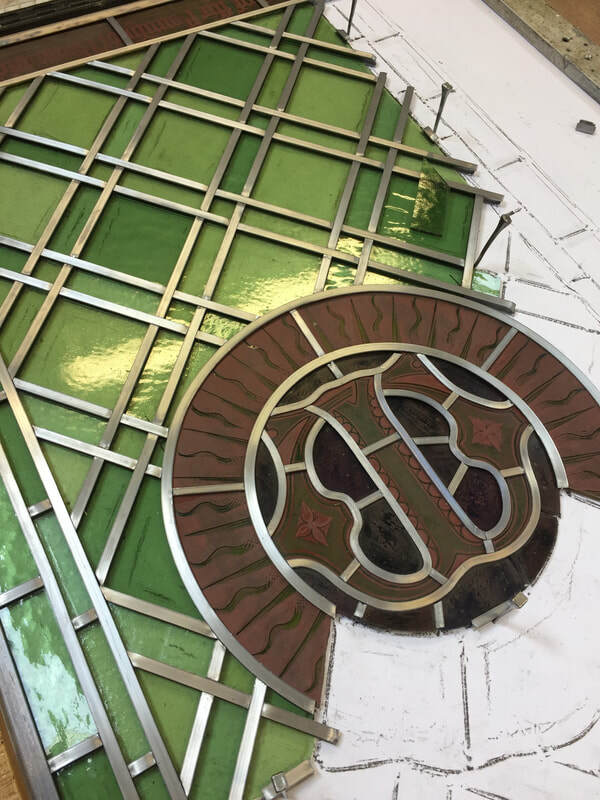 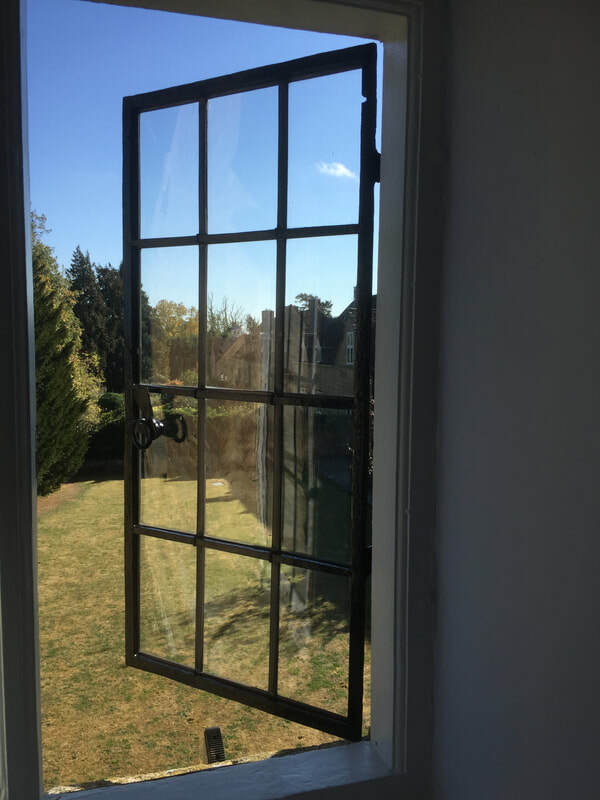 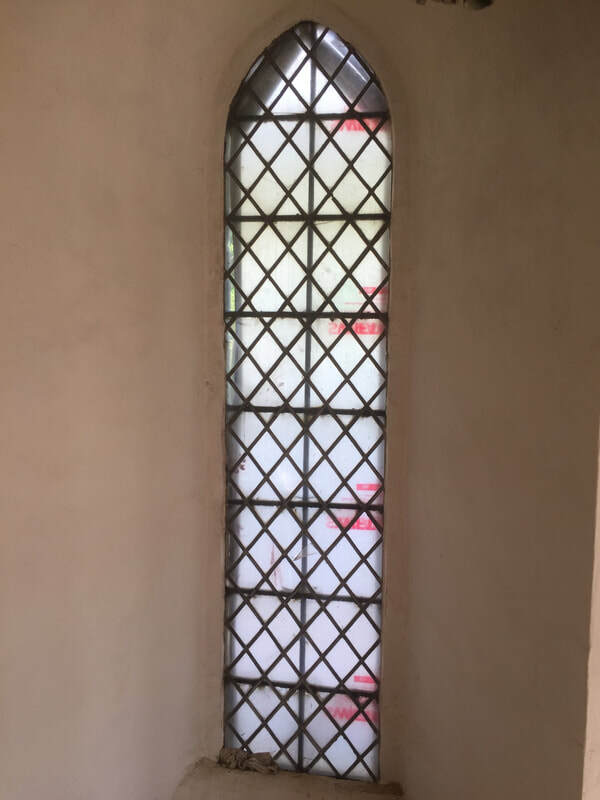 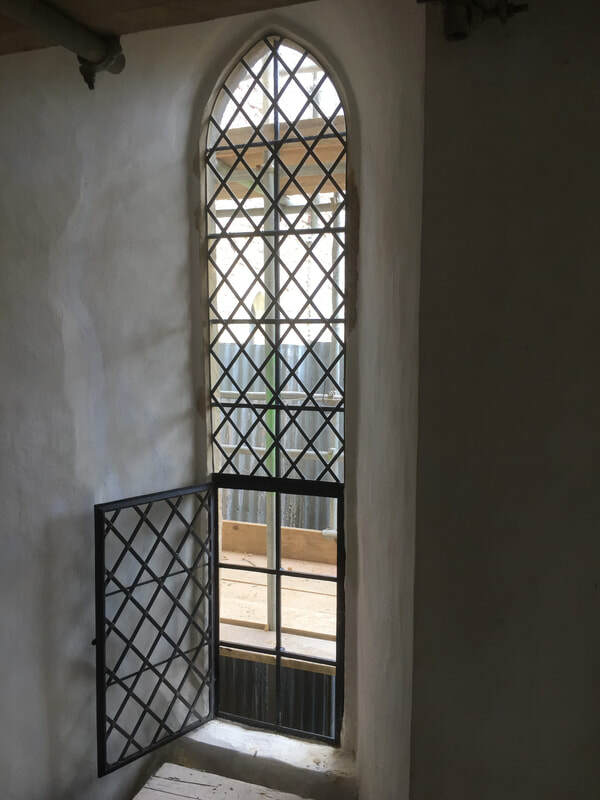 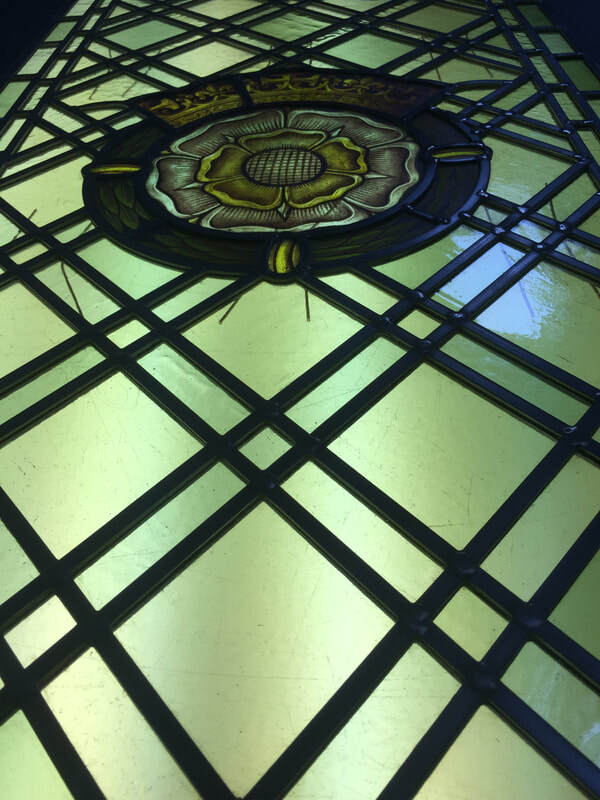 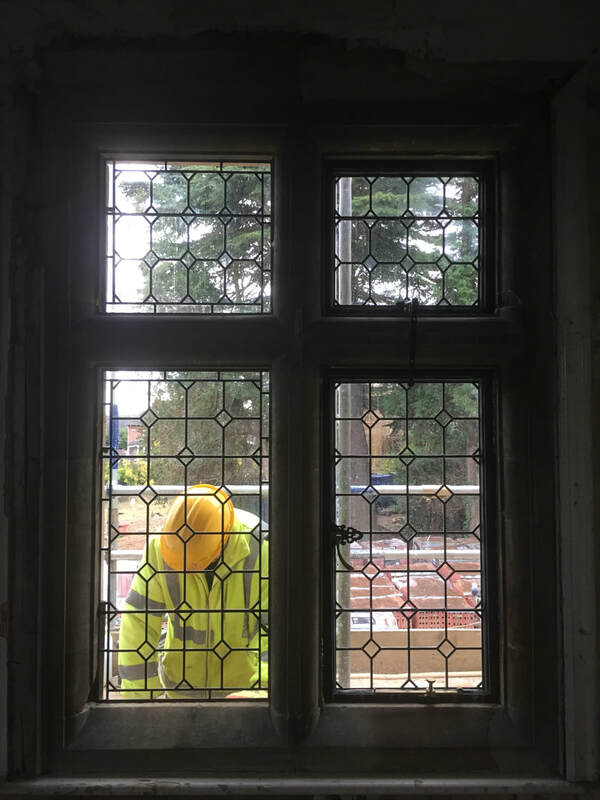 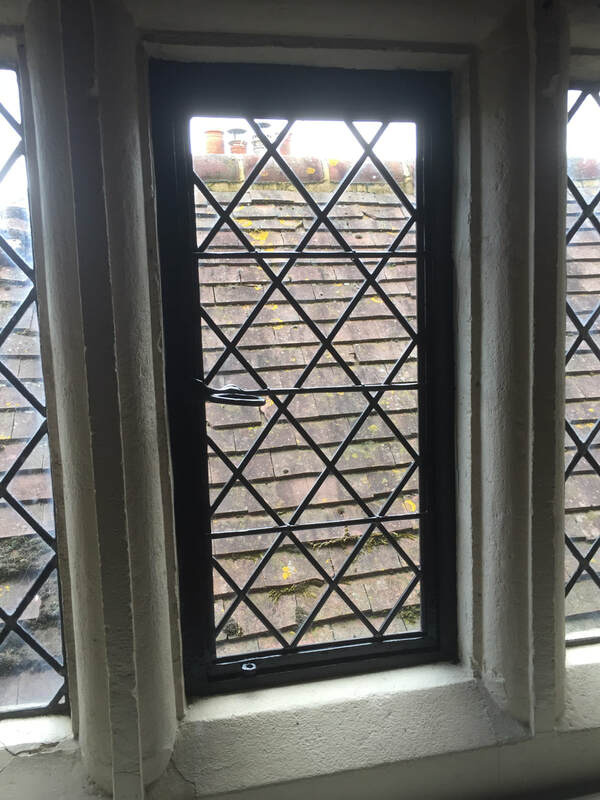 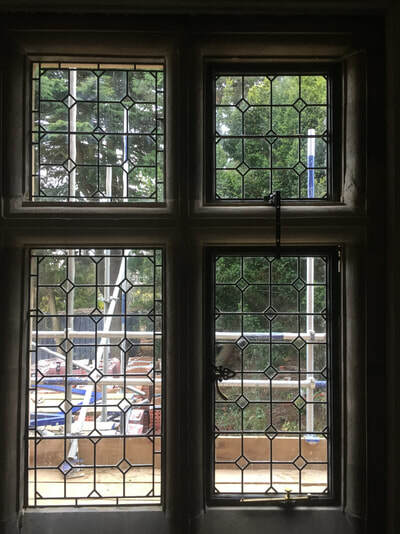 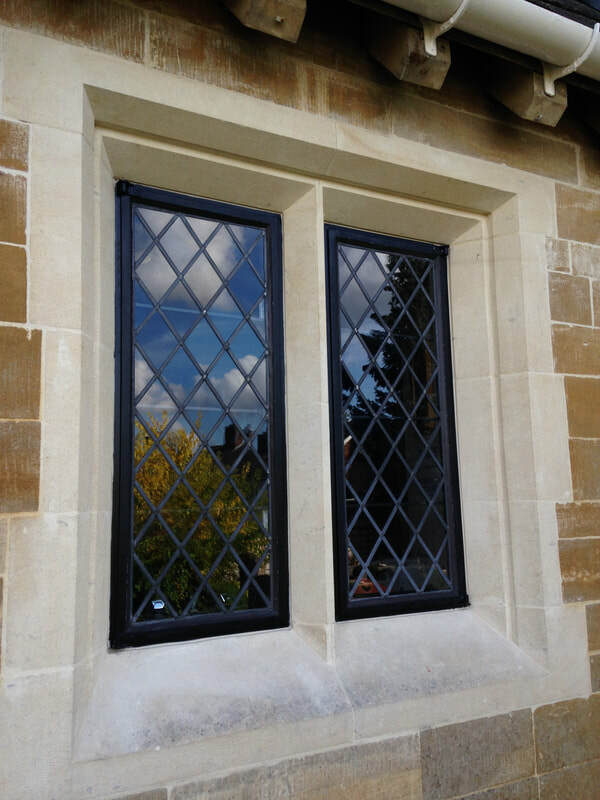 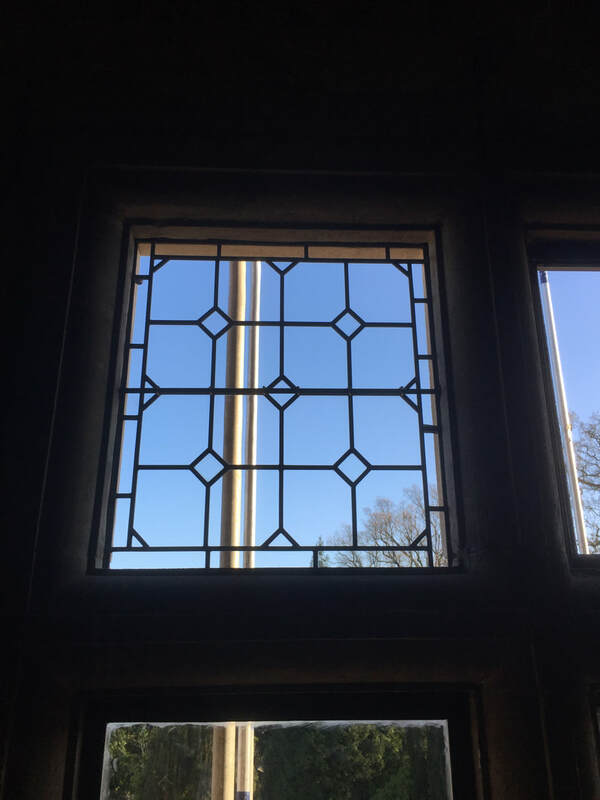 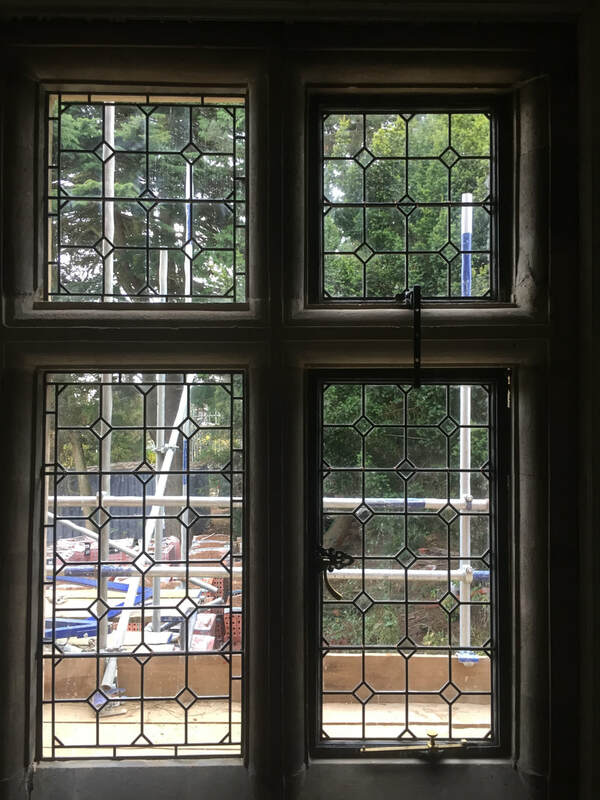 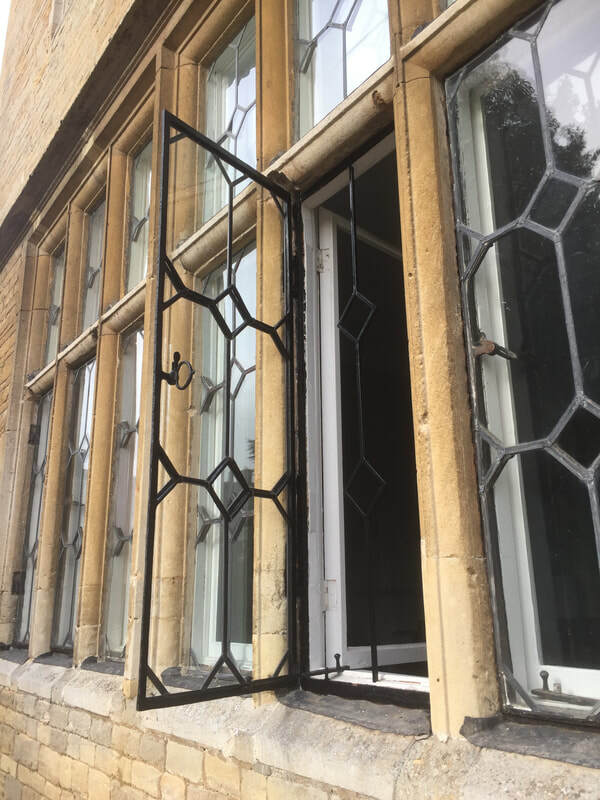 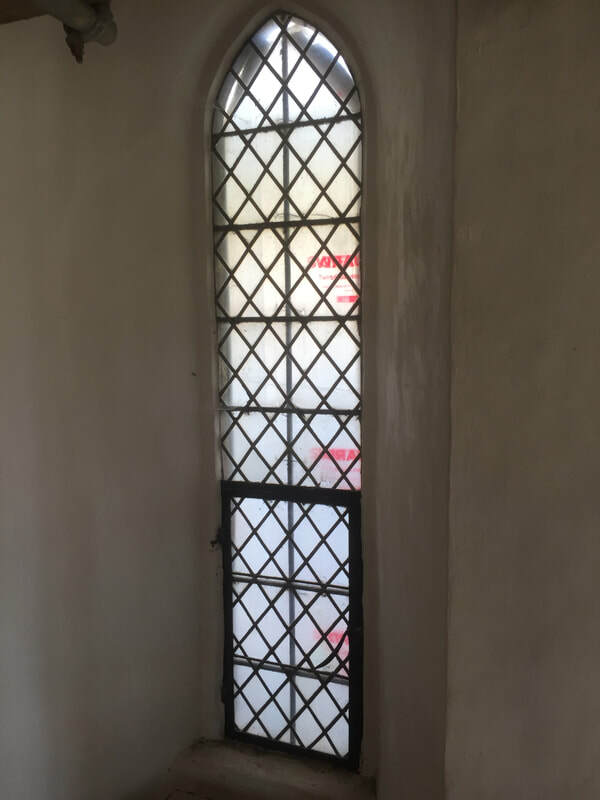 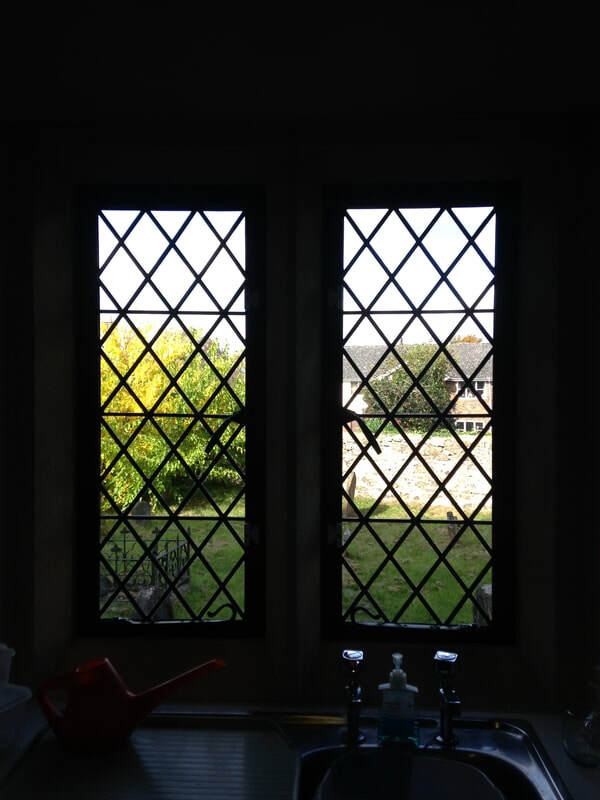 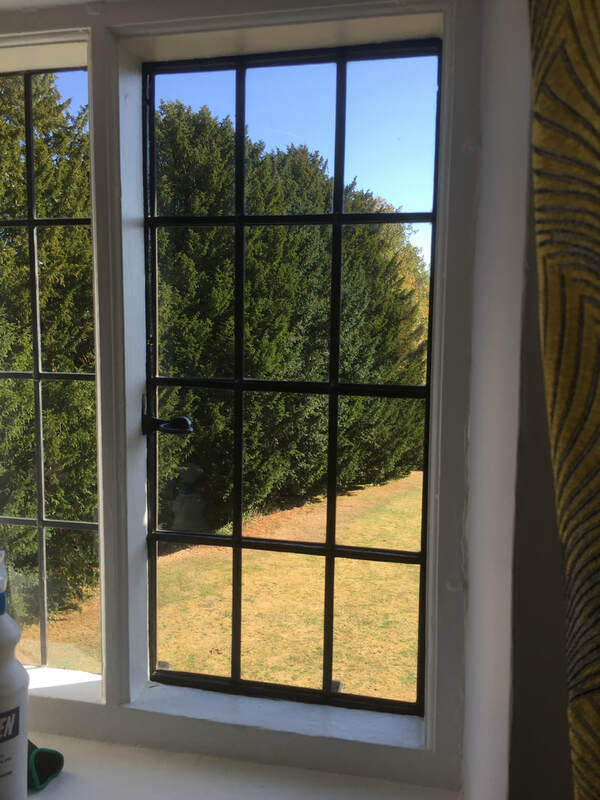 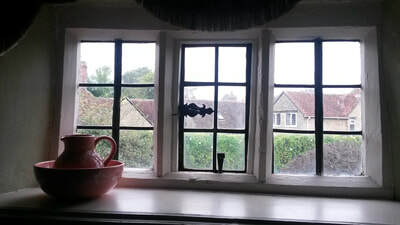 The finished result, is months of hard work in re-manufacturing the leaded glazing and over forty metal window frames repaired by local blacksmith, IronWill. 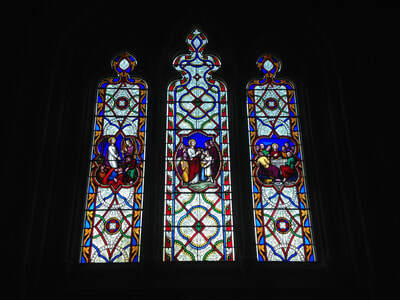 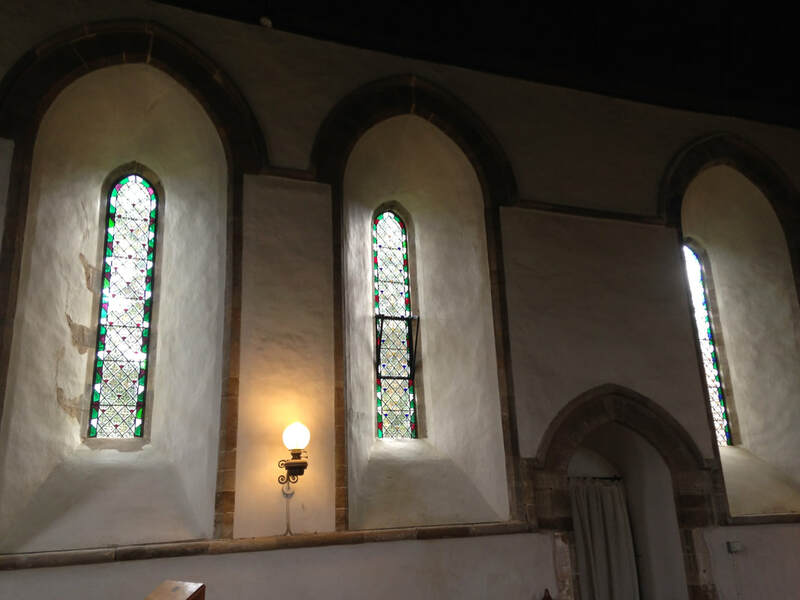 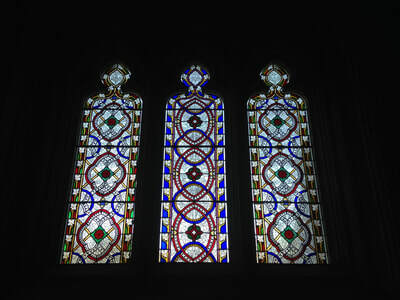 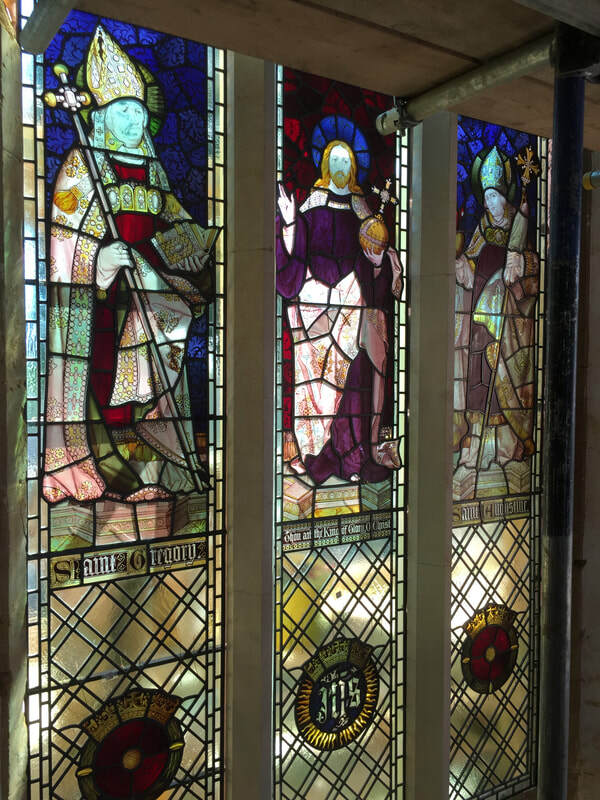 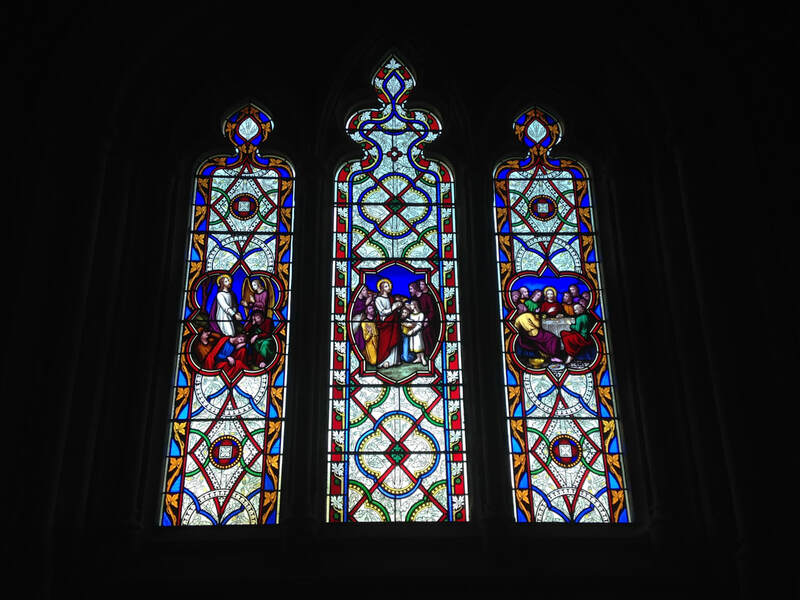 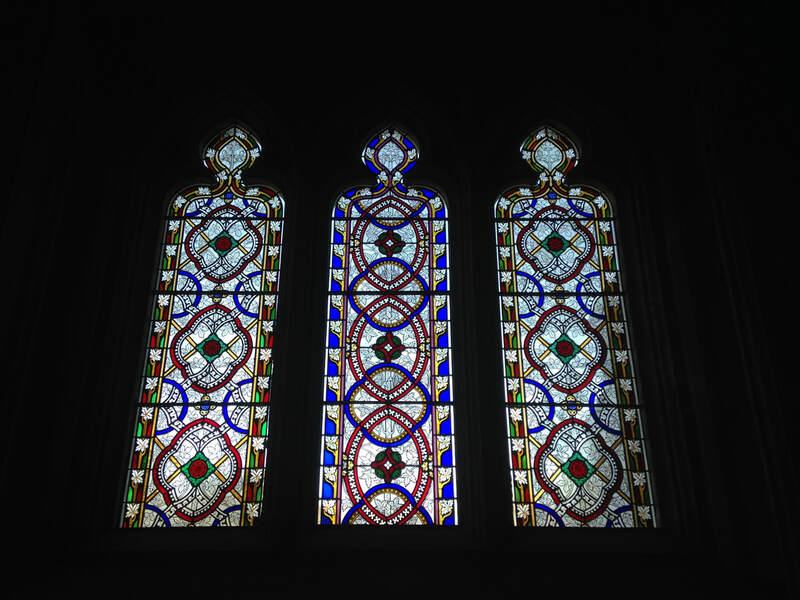 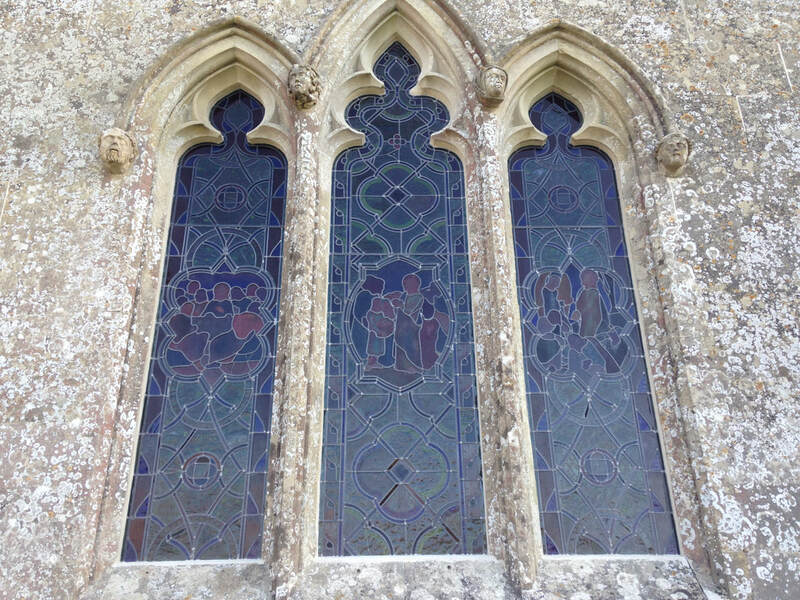 South Chancel/Sanctuary windows, before and after restoration. 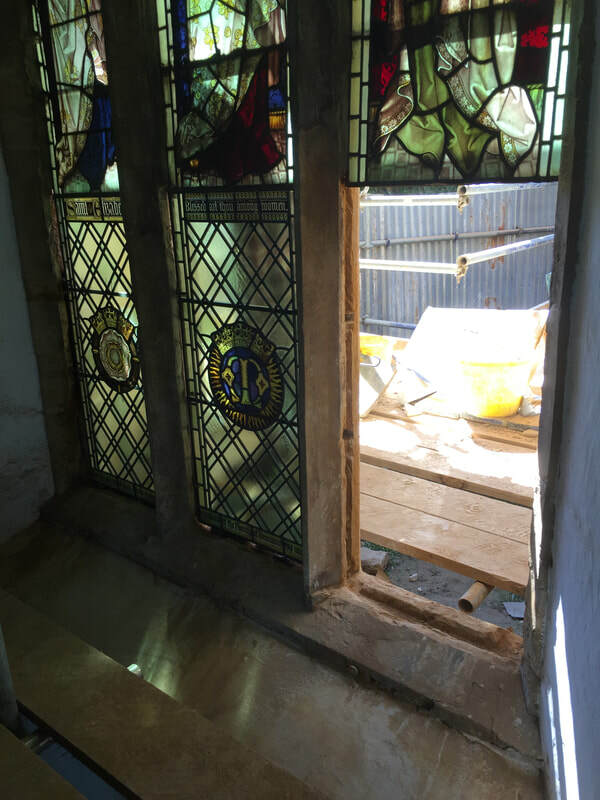 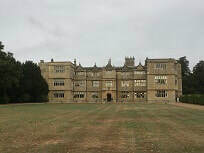 Originally a small repair enquiry, that became a full restoration project due to the condition of the glazing and surrounding stone work. 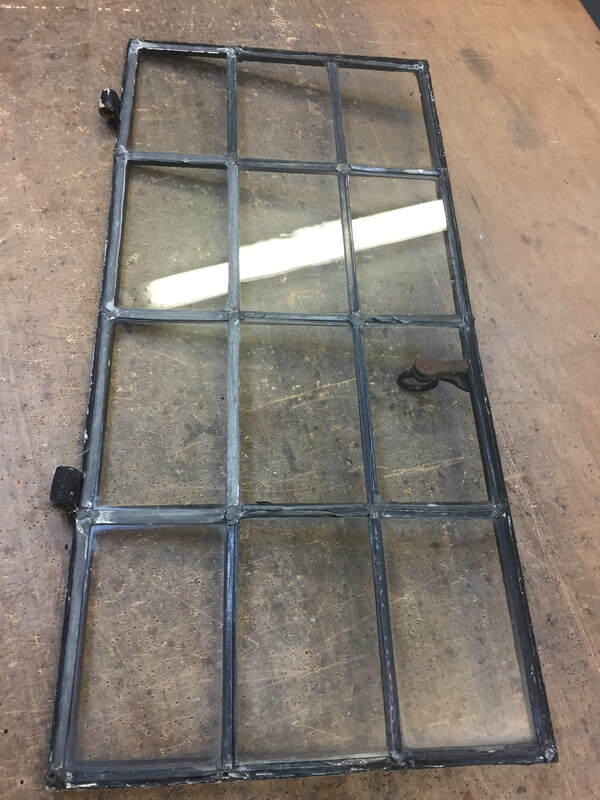 The leaded lights were originally installed without saddle bars, causing them to sag and become unstable. 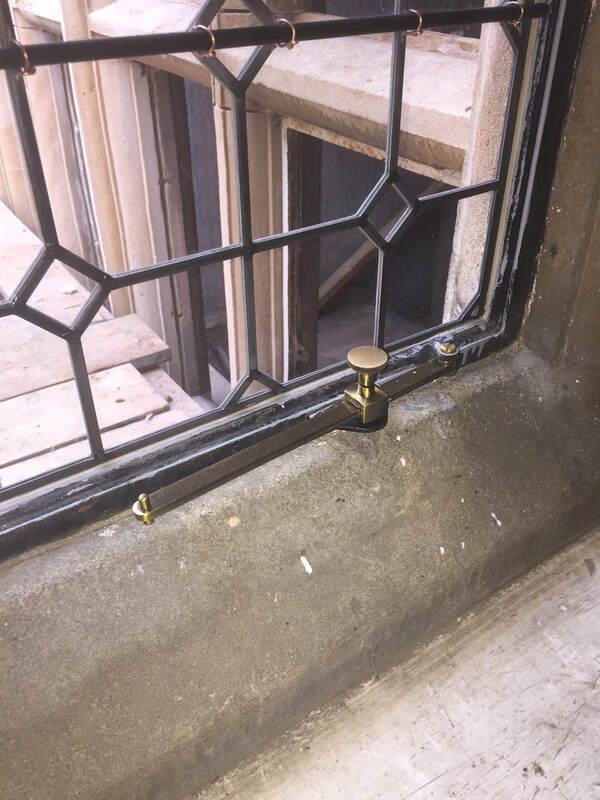 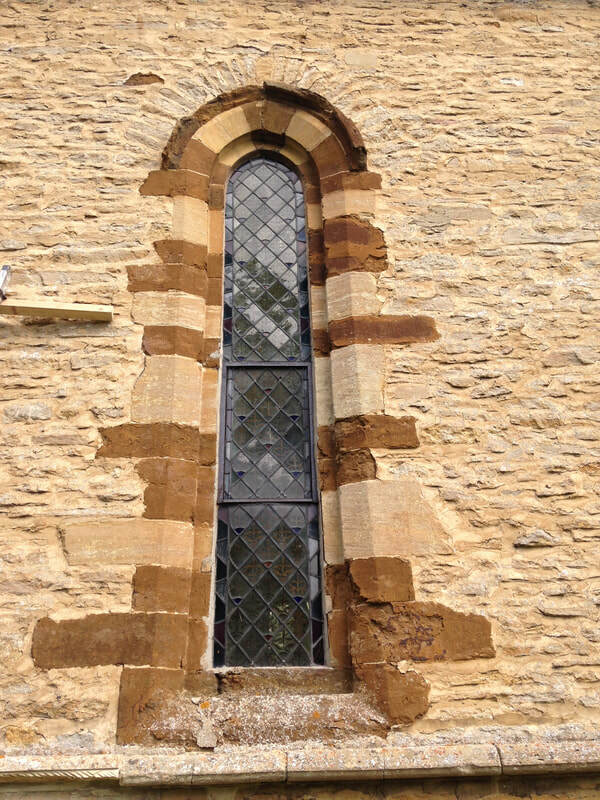 The stone sills, jambs and hood mouldings had all suffered from severe corrosion and required specialist attention from a stone mason. 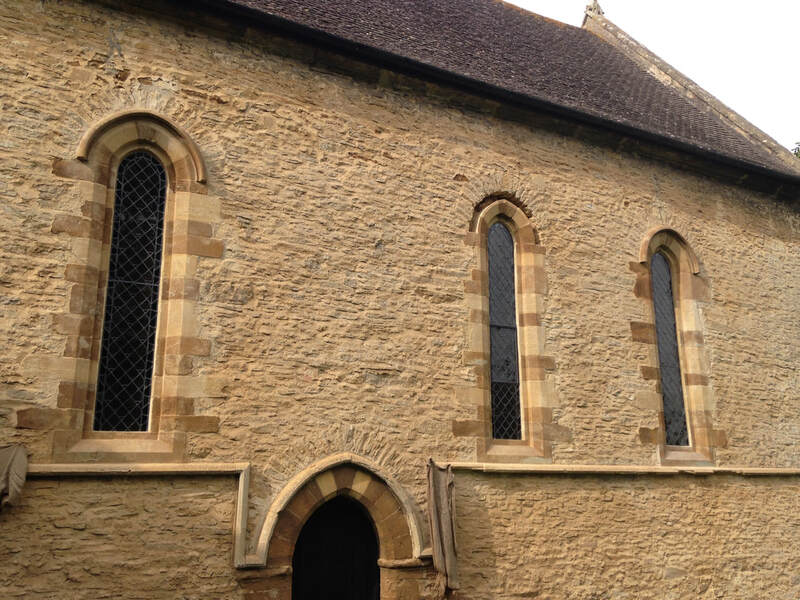 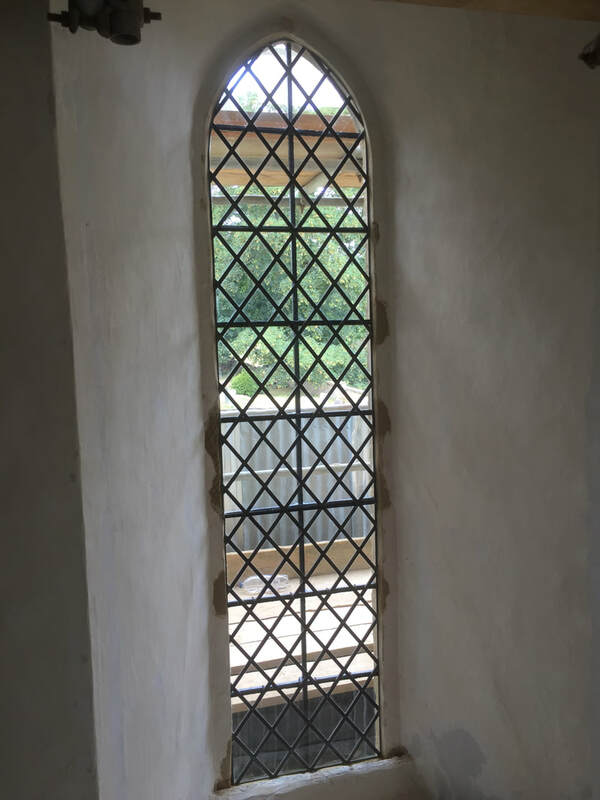 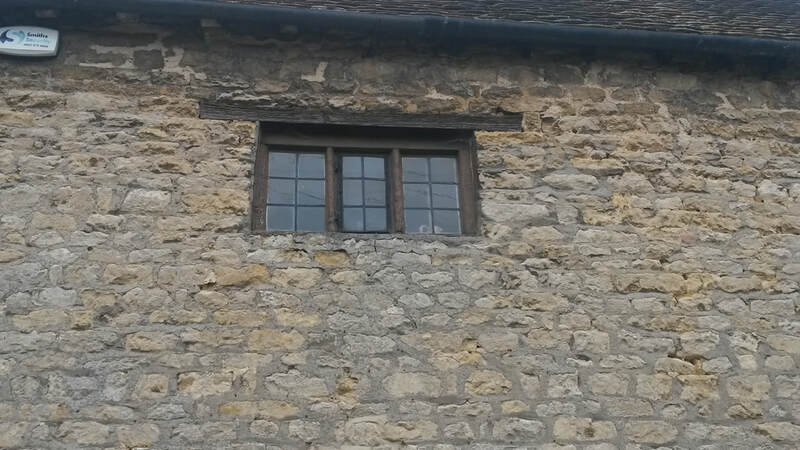 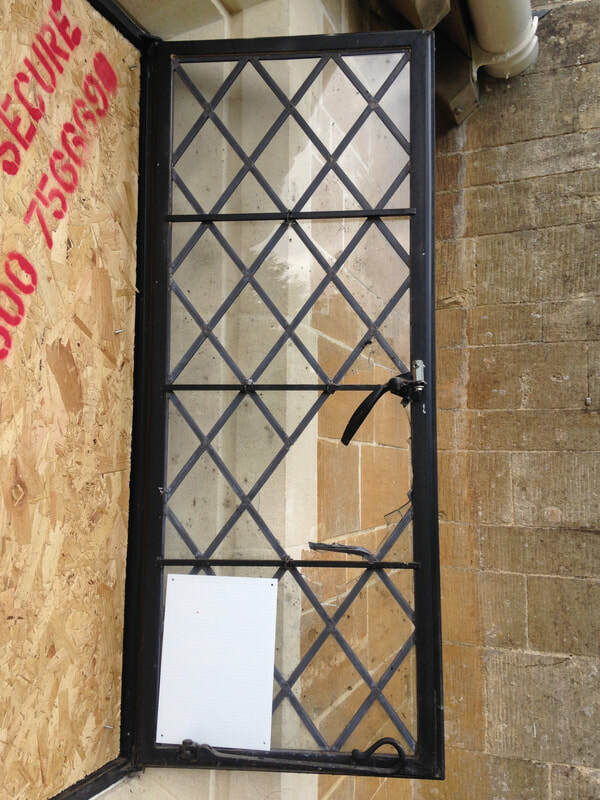 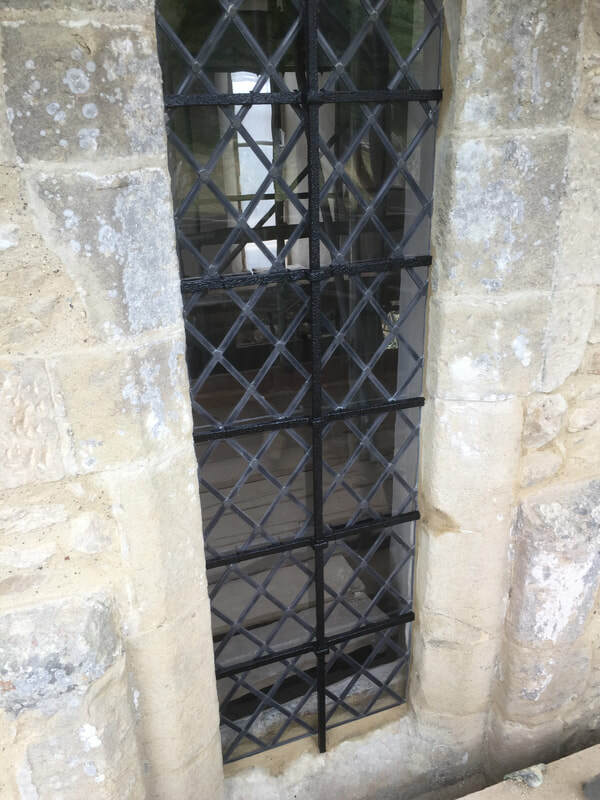 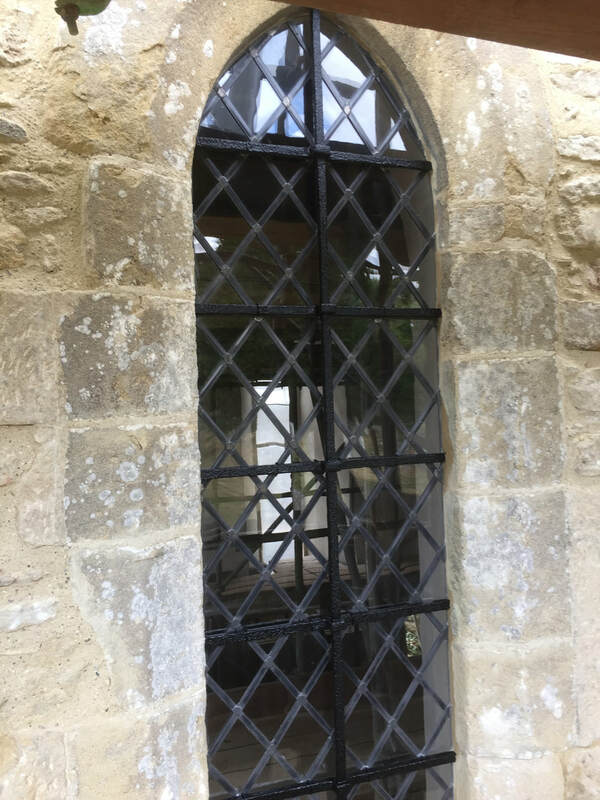 On our recommendation to the client, Totternhoe Stone carried out the stone repairs and the restored glazing was re-installed, with the addition of new stainless steel saddle bars. 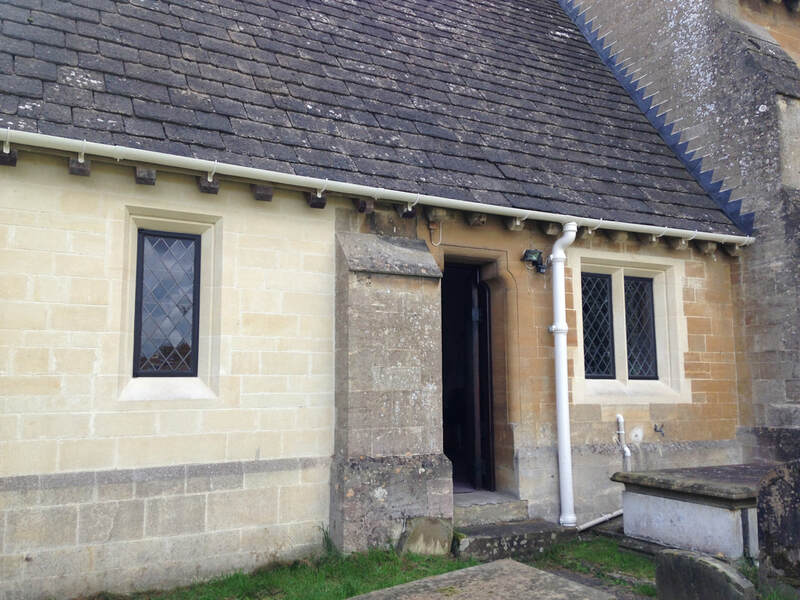 St Mary's Catholic church is situated on a private estate in the Dorset countryside. 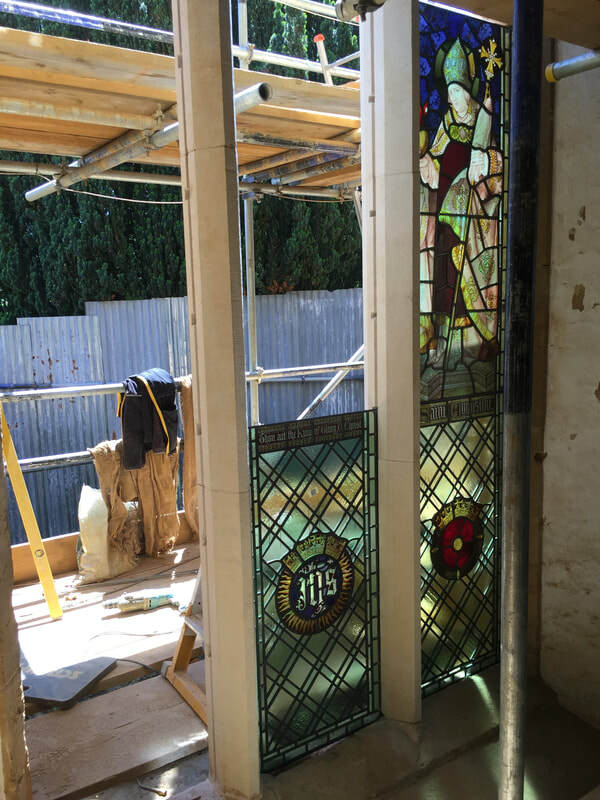 It was once a redundant church, that has now been saved by it's new owners after a long term restoration program. 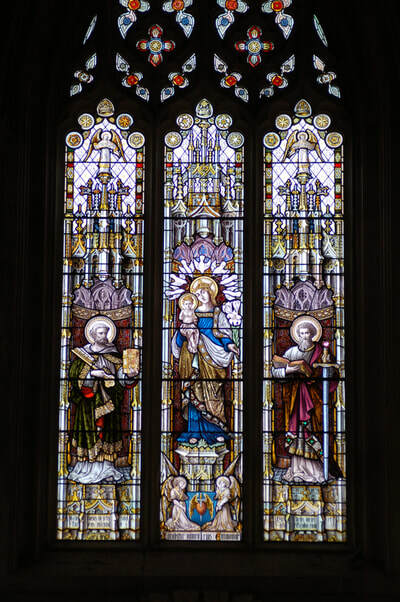 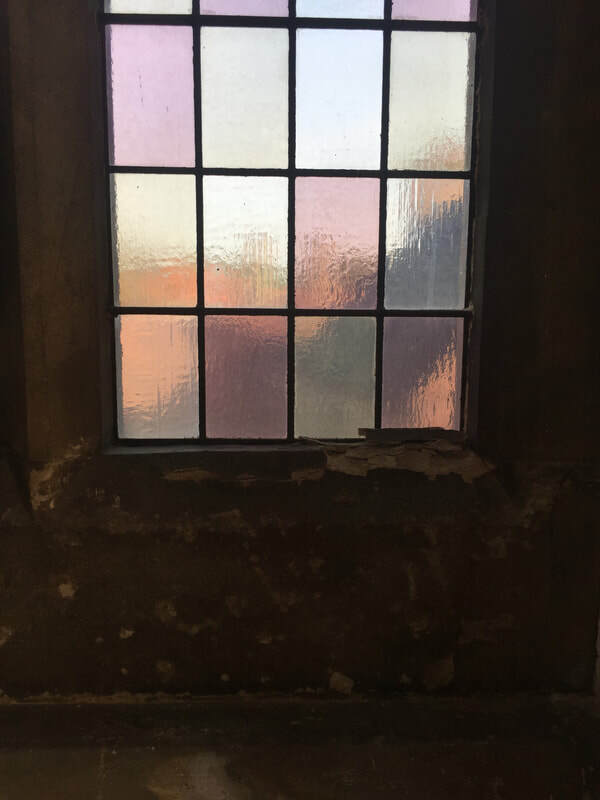 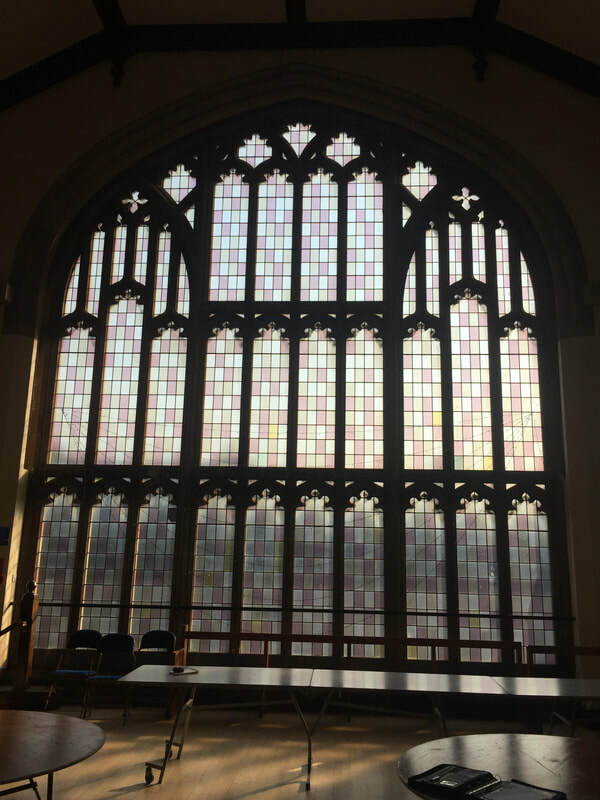 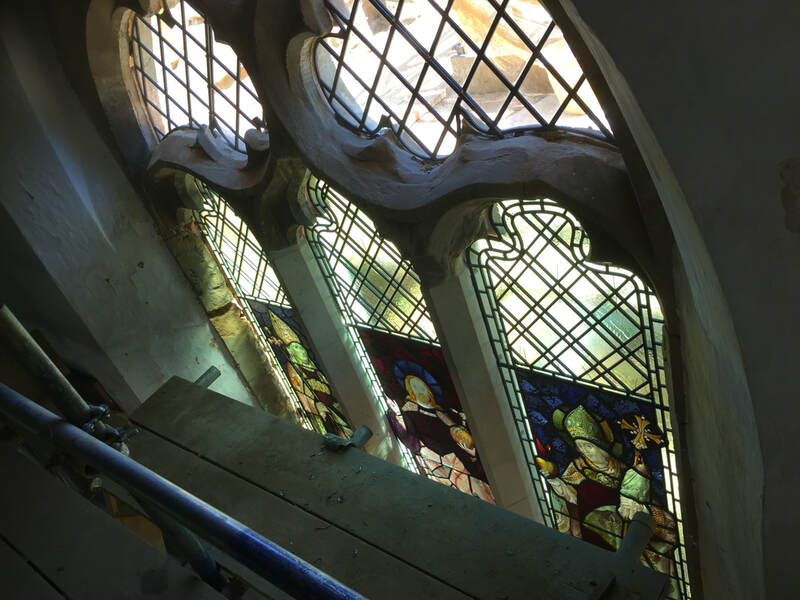 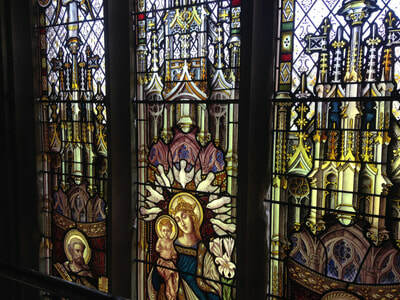 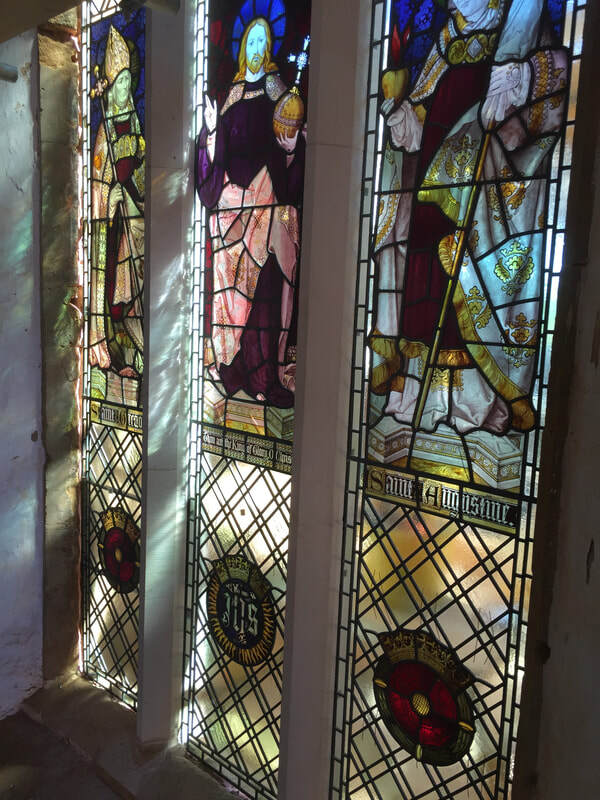 The stained glass windows and leaded lights to all elevations, had been boarded up internally for many years and nobody had seen their beauty for at least a decade, until work began. 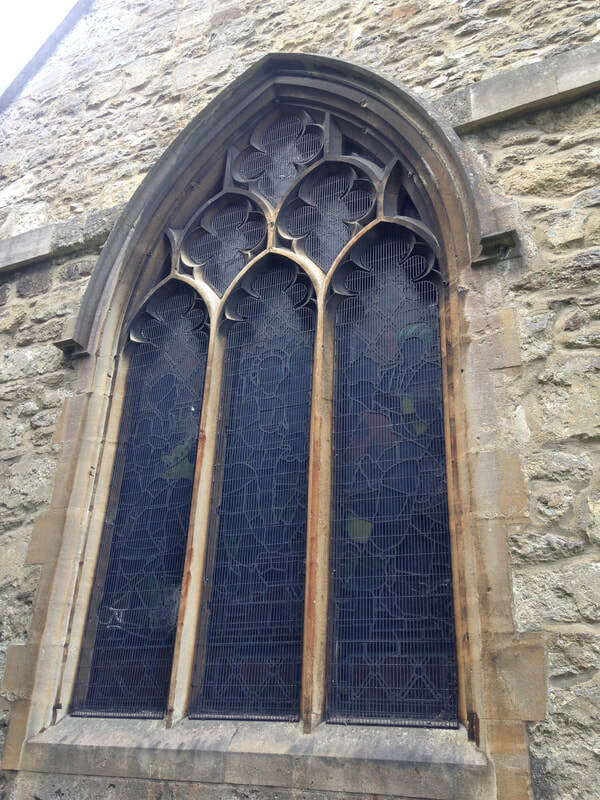 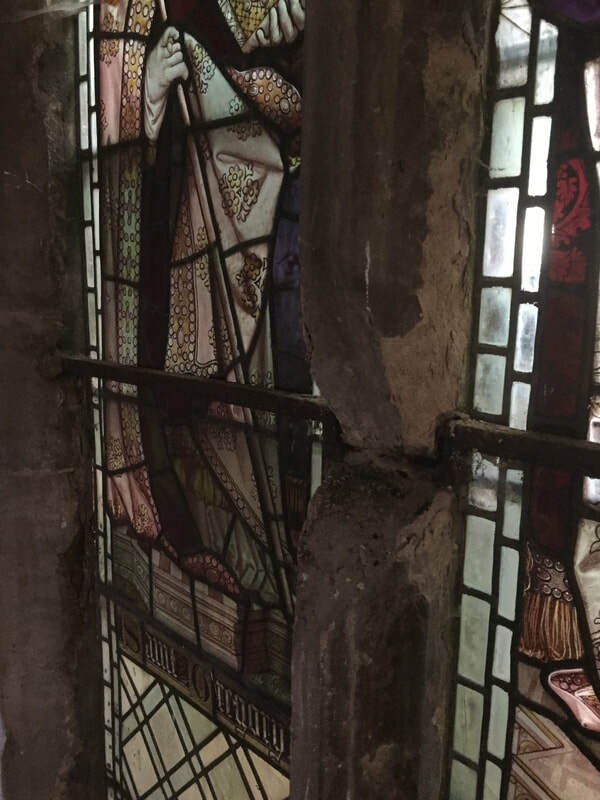 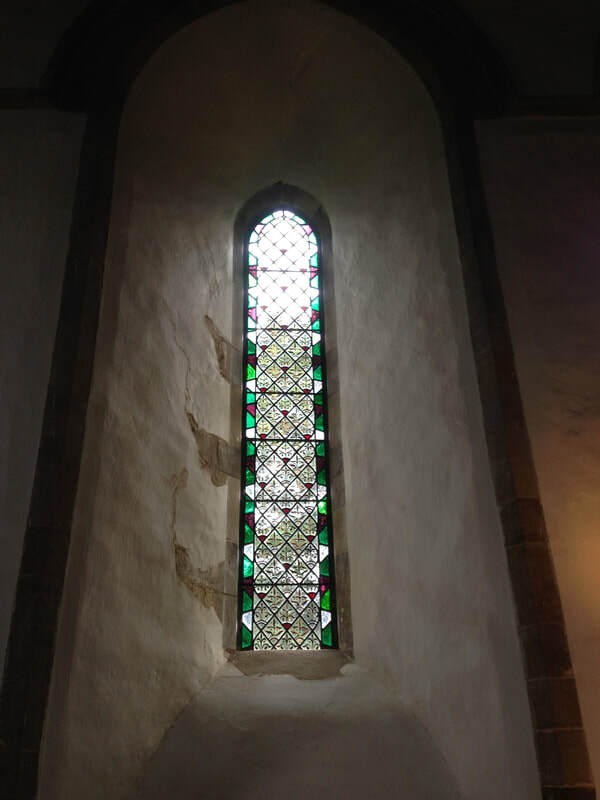 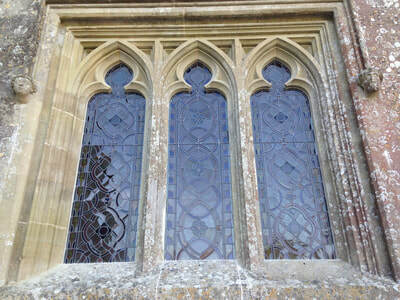 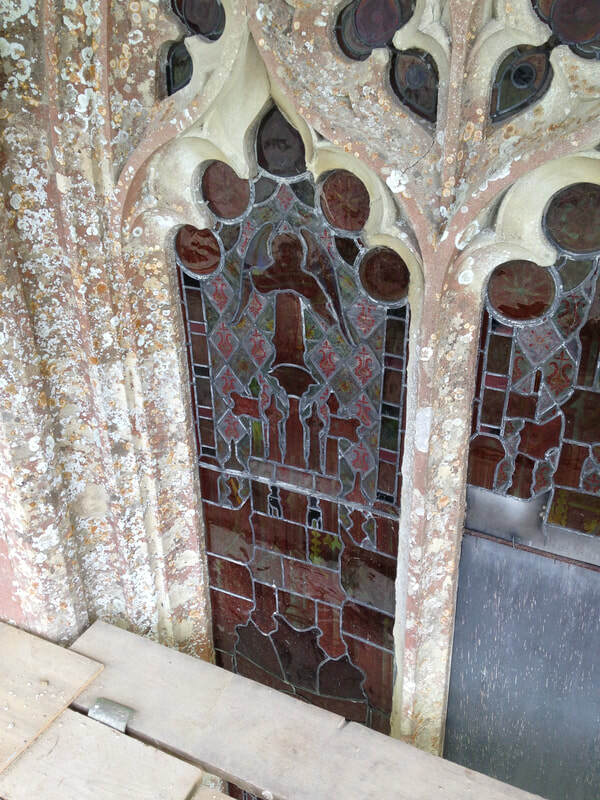 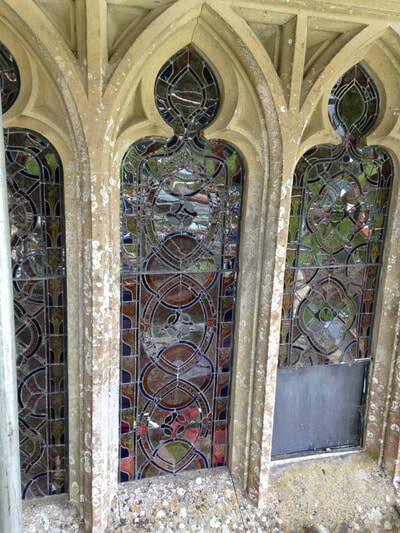 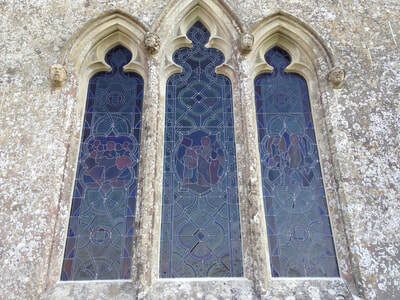 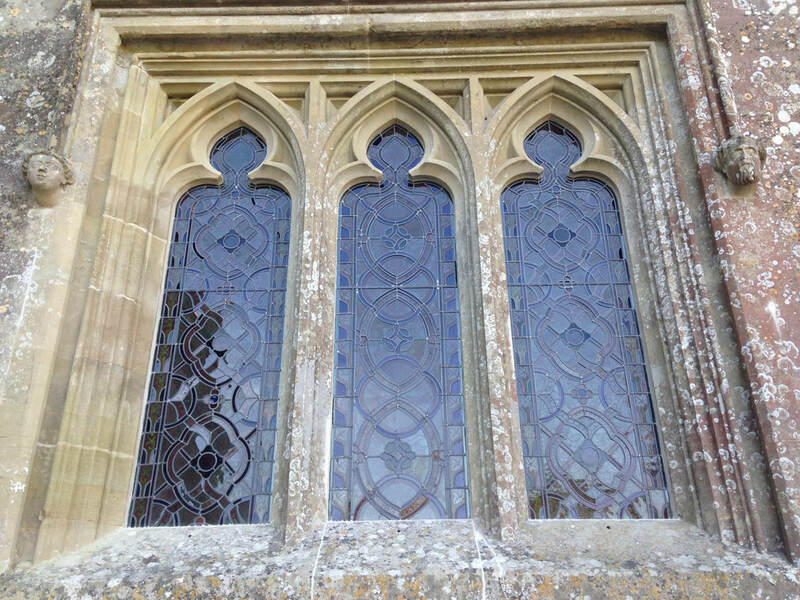 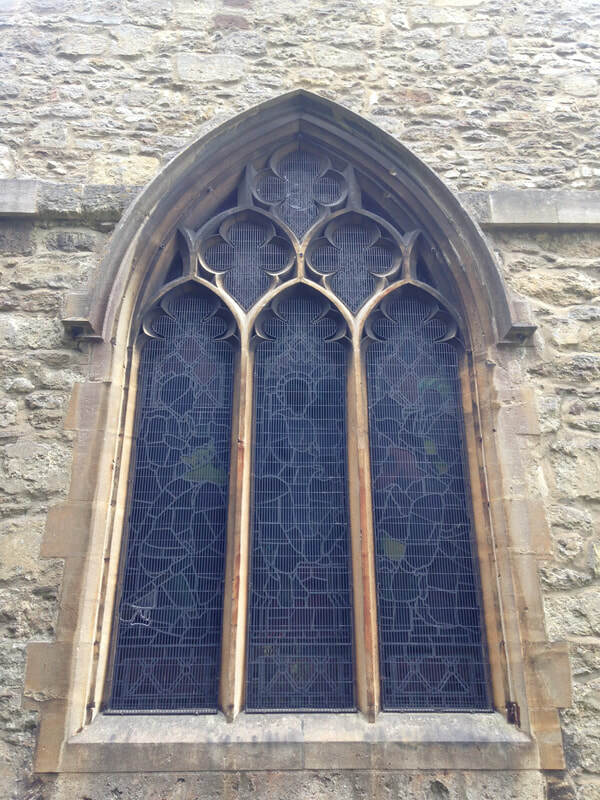 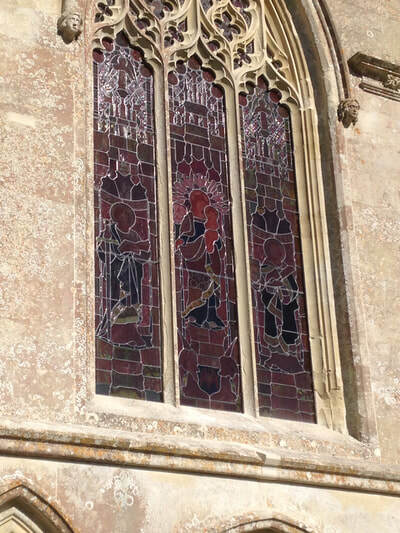 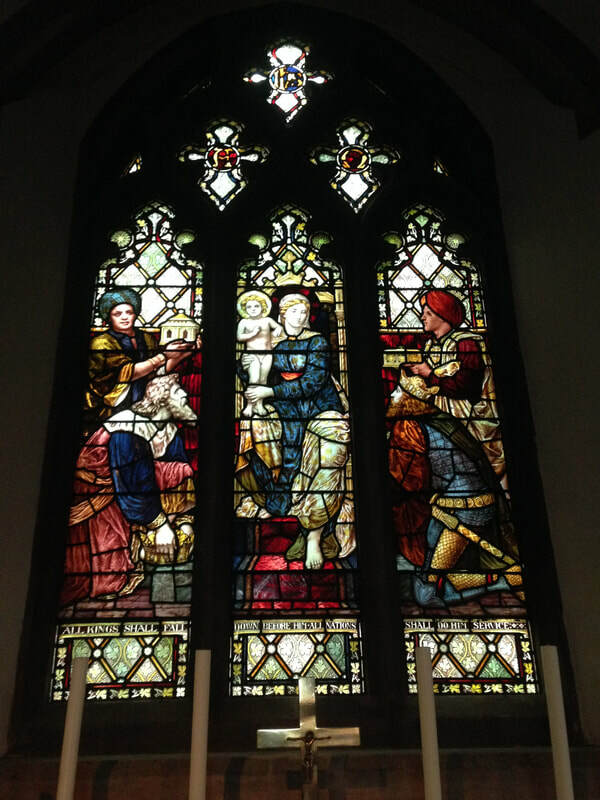 The West window was in a particularly poor state and was one of many that had to be removed for complete restoration. 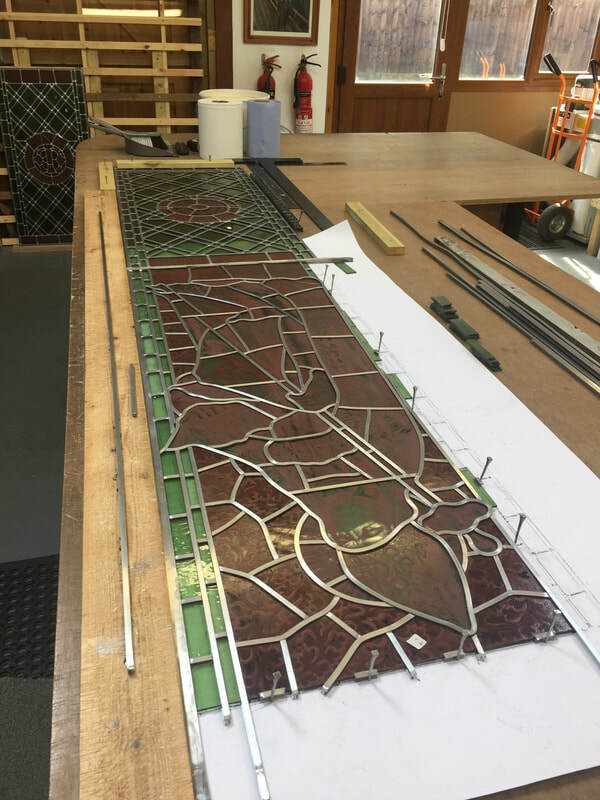 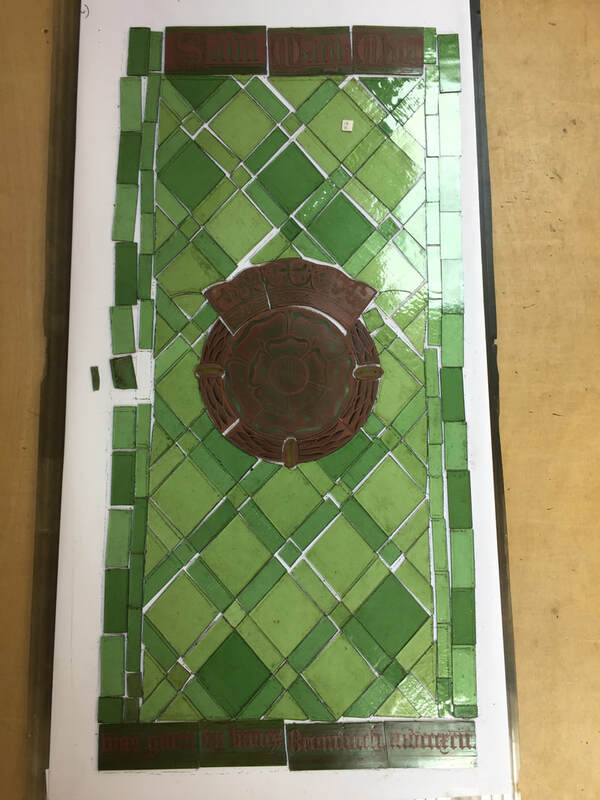 A large piece was missing from the centre light and with the help of a fellow colleague, old photographs and lots of research, we came up with a design that was approved and put into production.